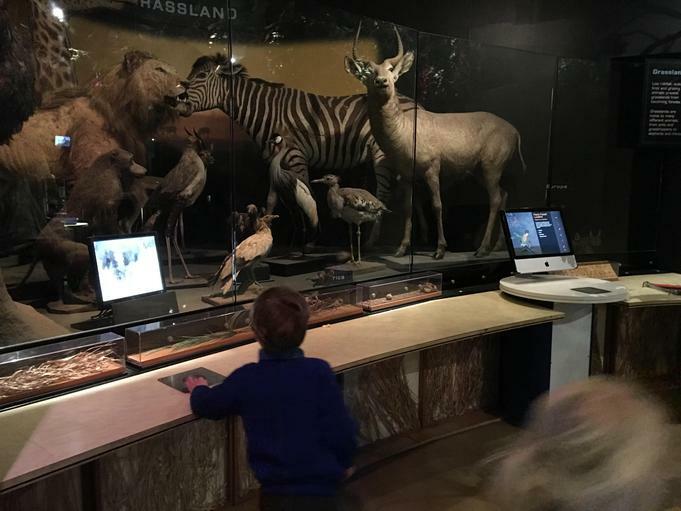 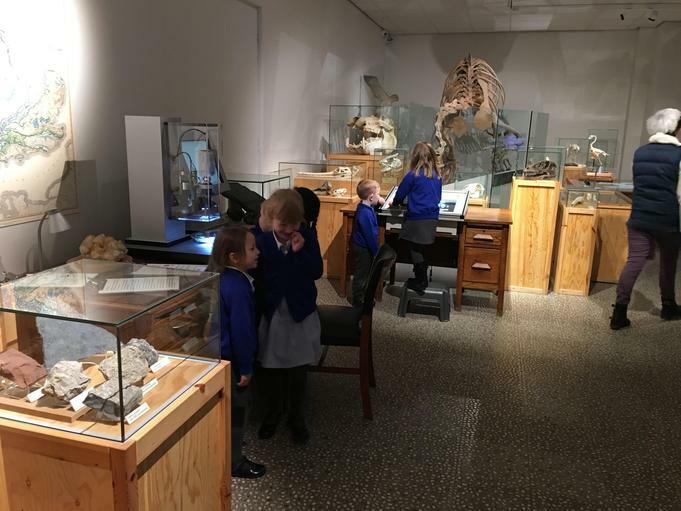 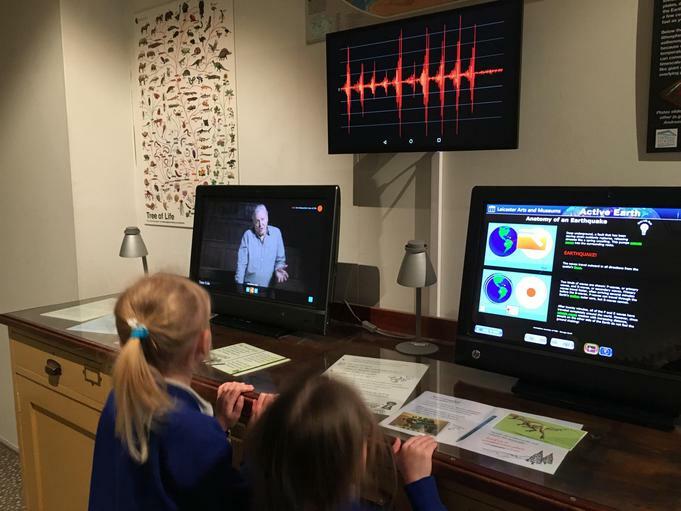 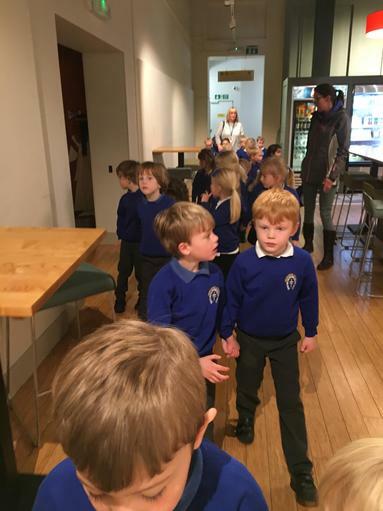 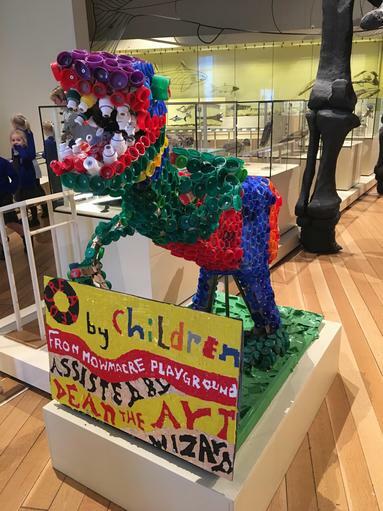 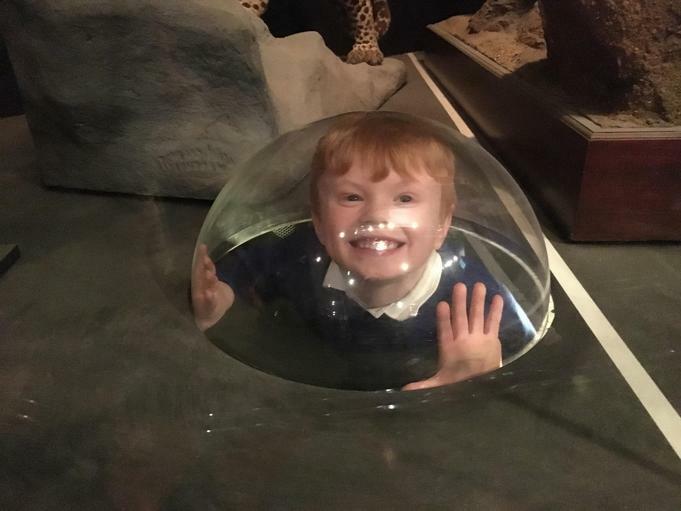 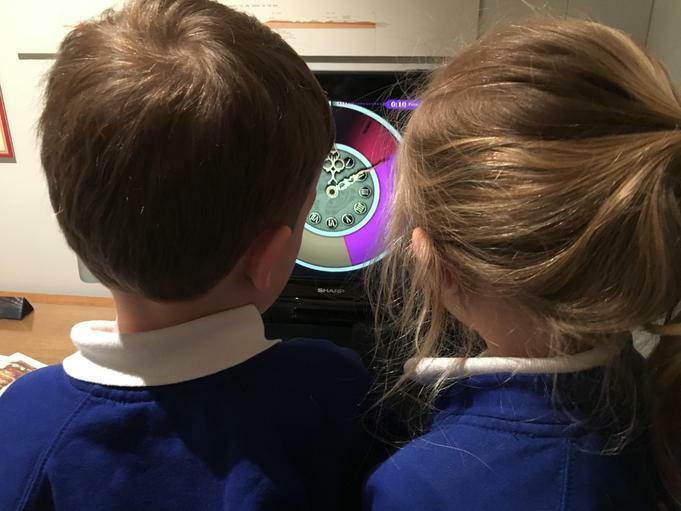 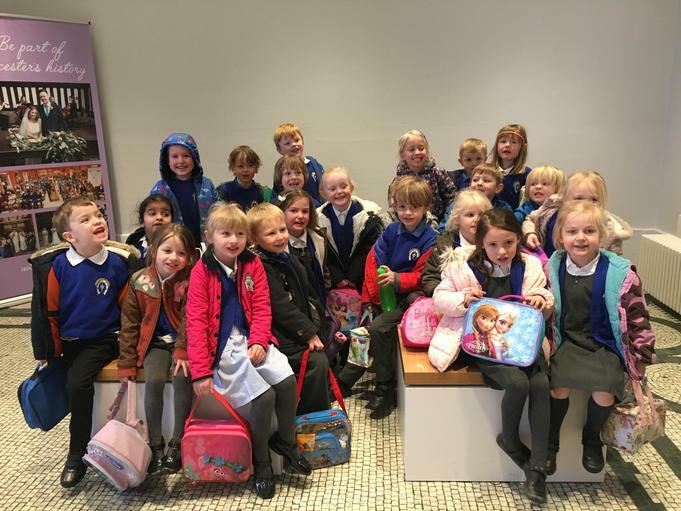 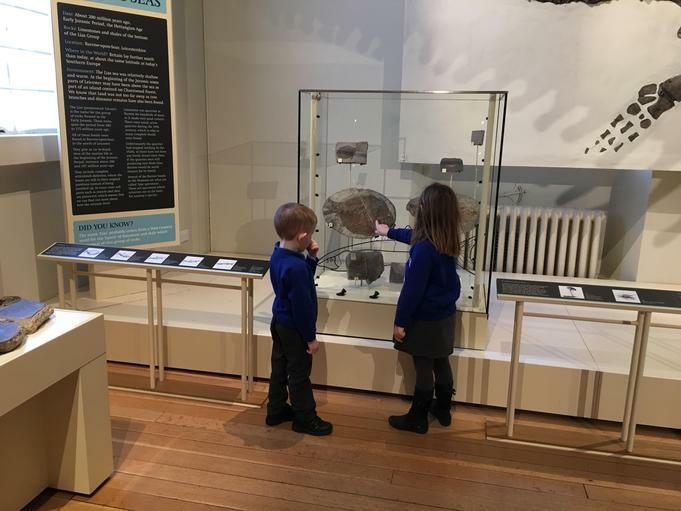 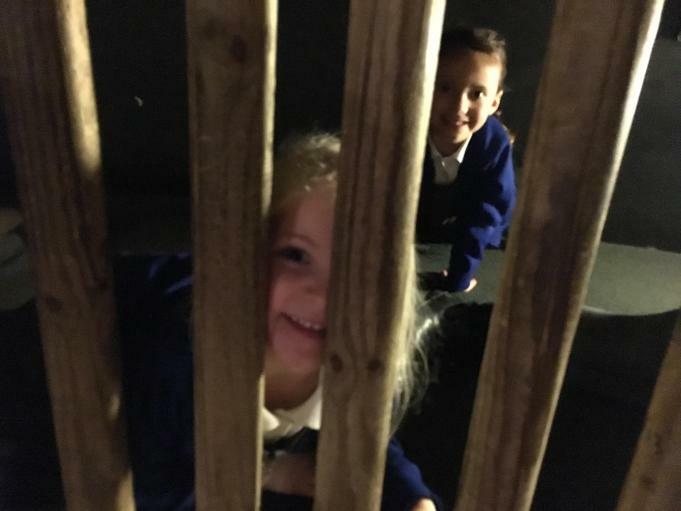 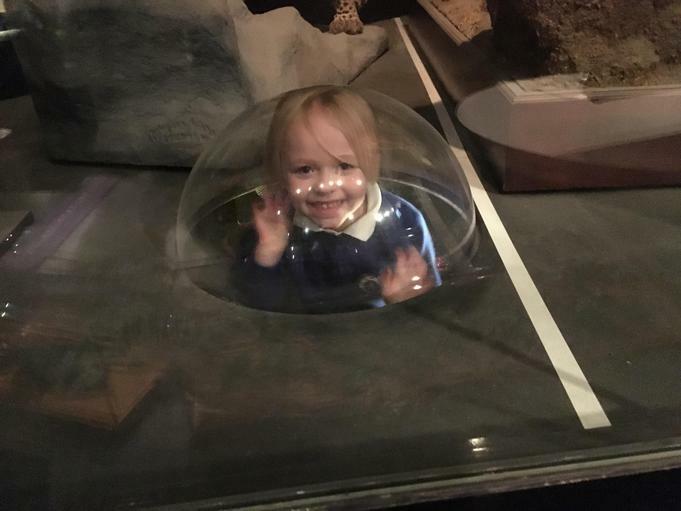 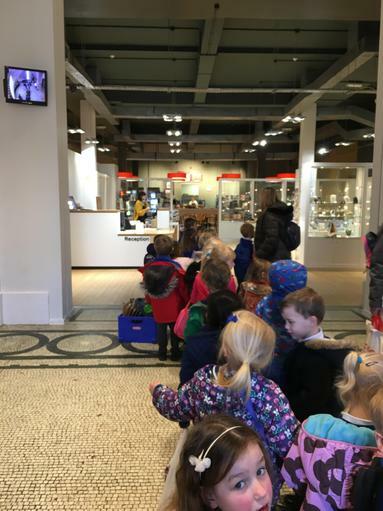 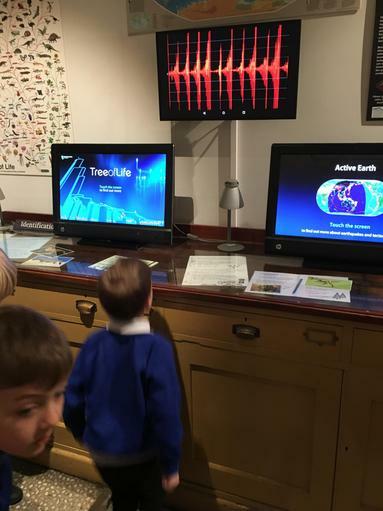 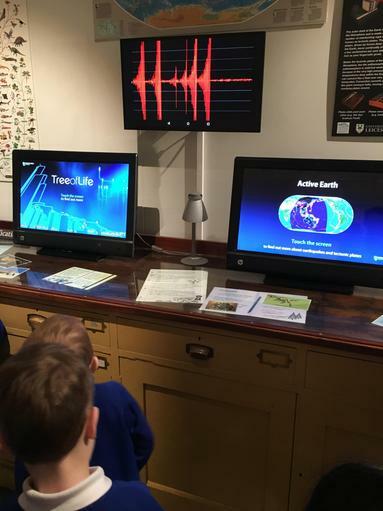 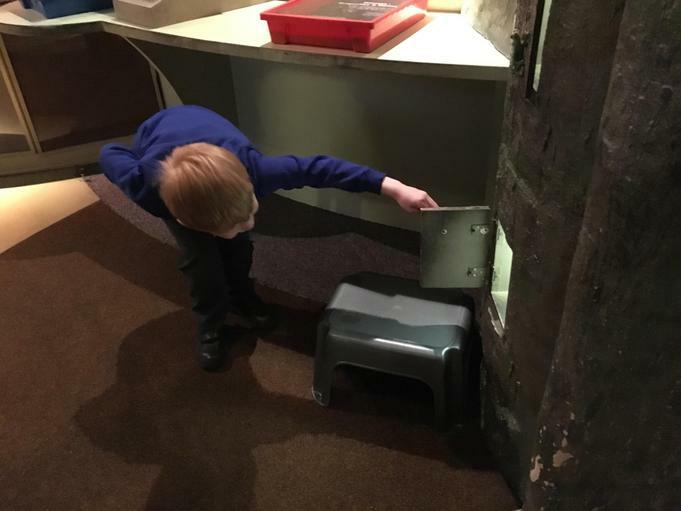 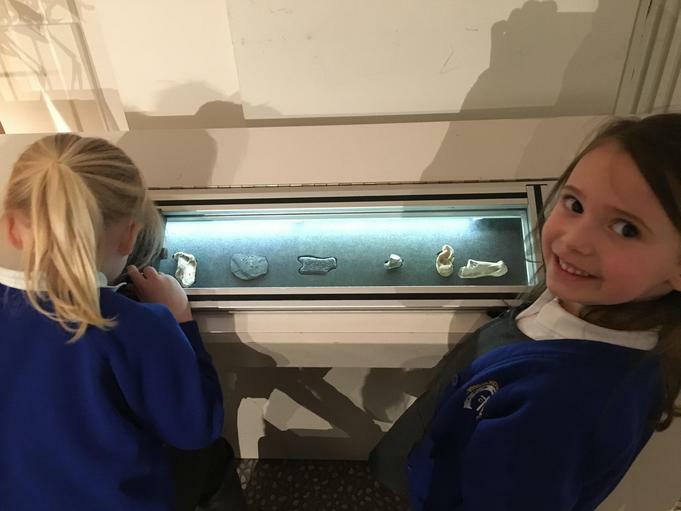 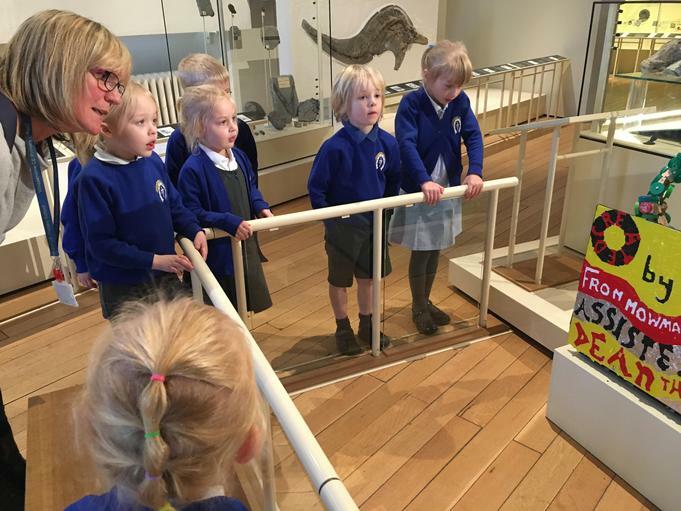 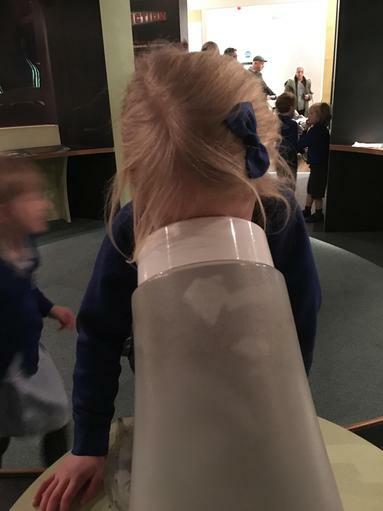 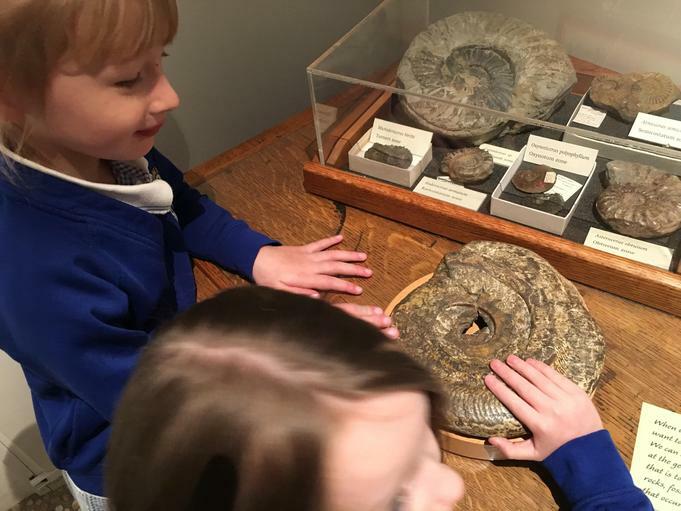 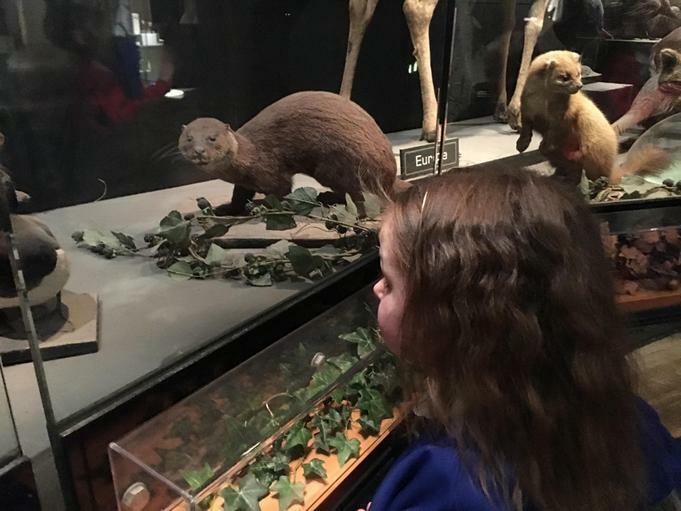 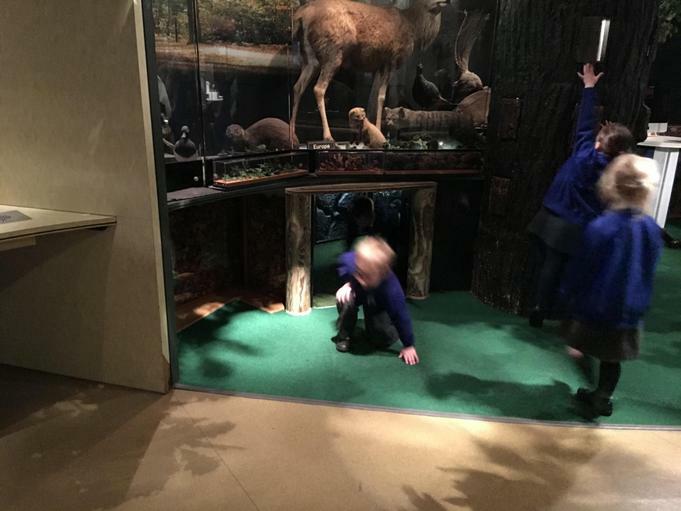 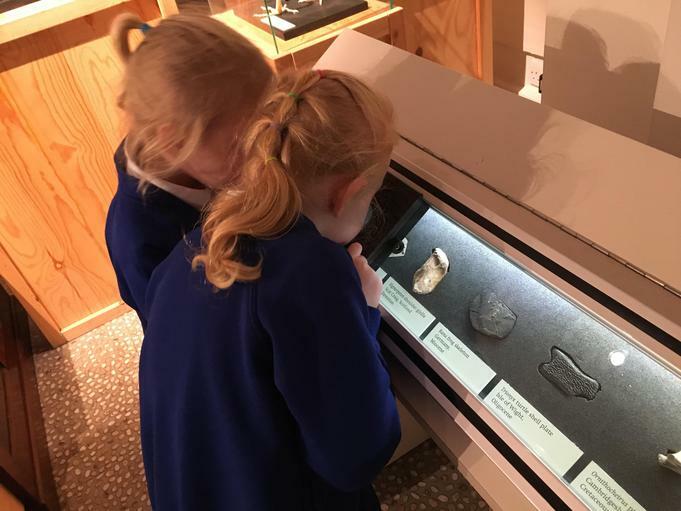 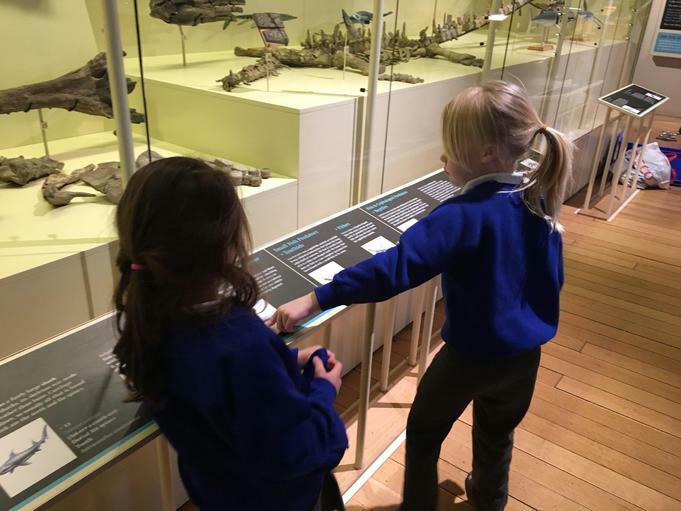 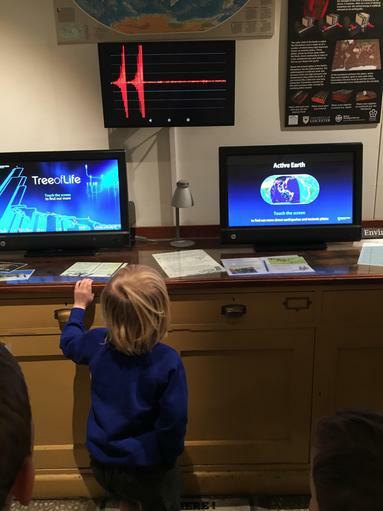 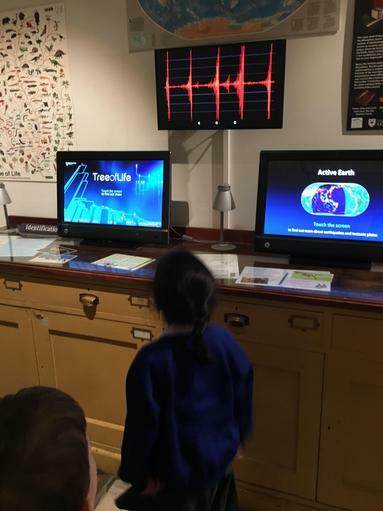 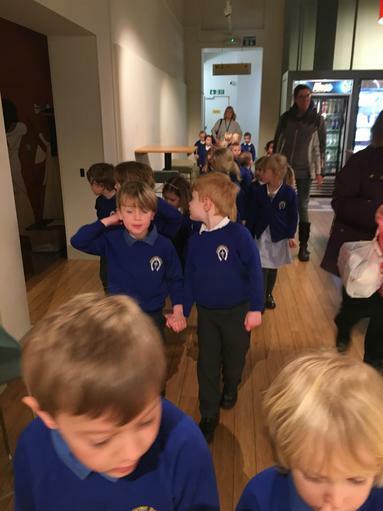 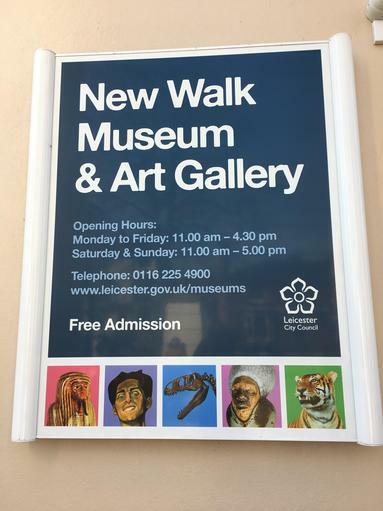 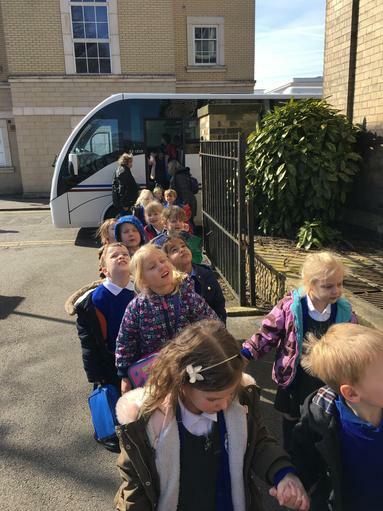 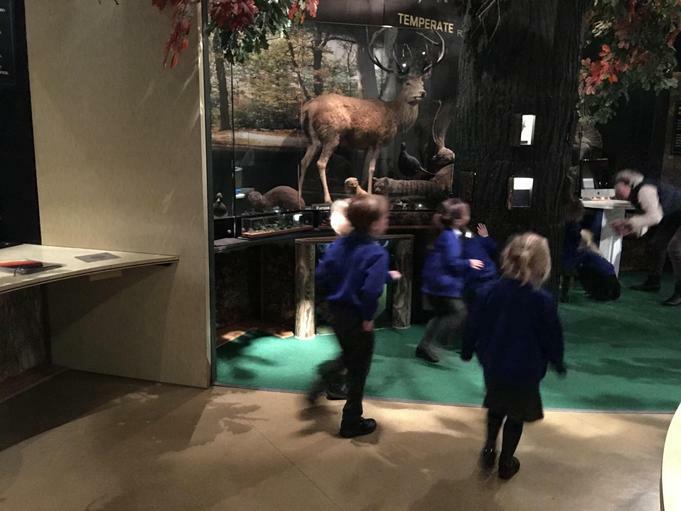 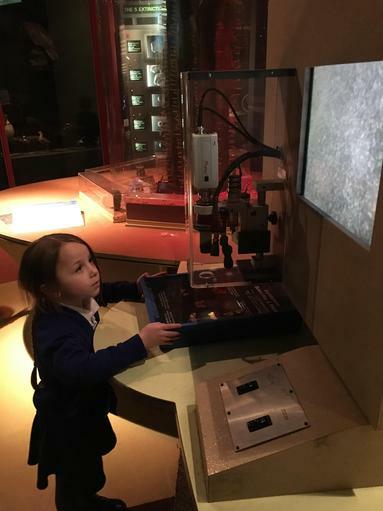 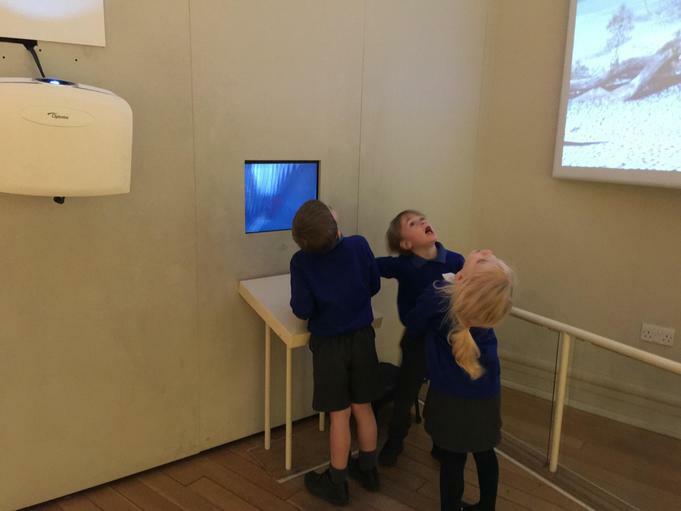 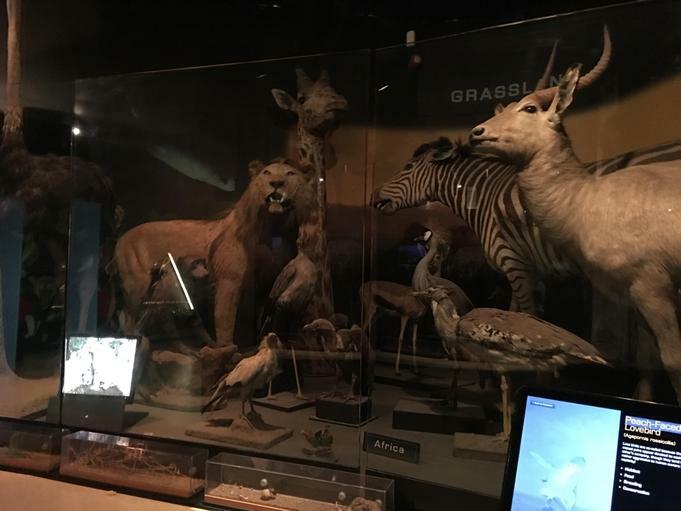 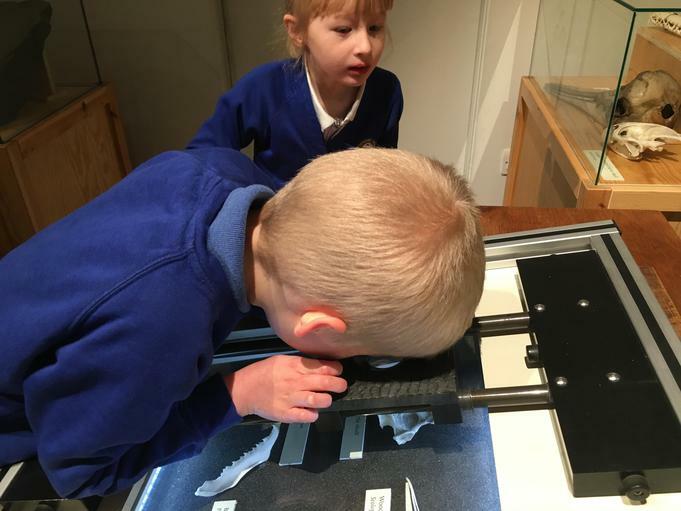 We had a marvelous time at New Walk Museum in Leicester. 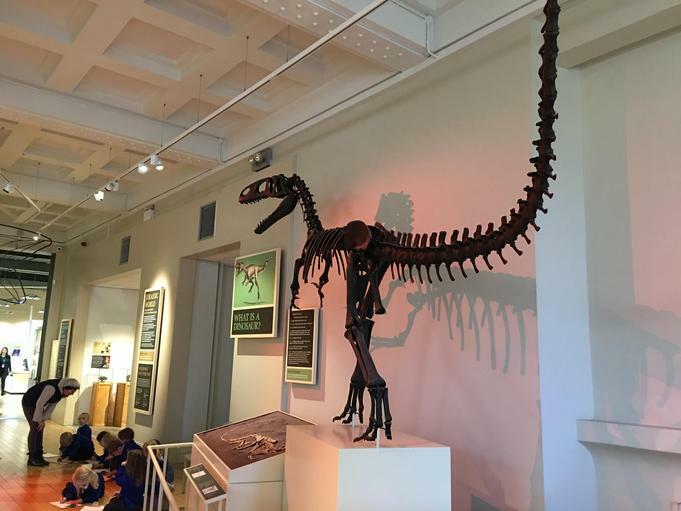 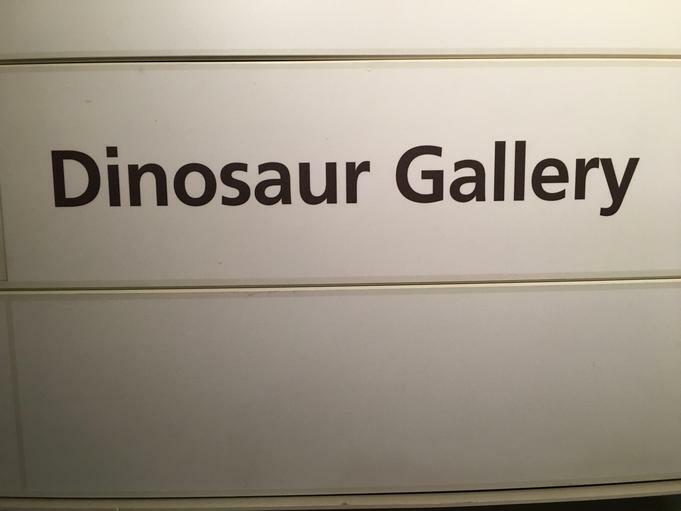 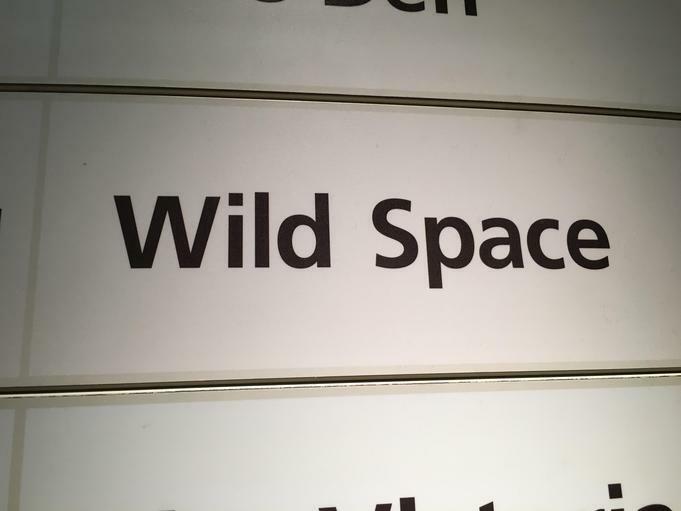 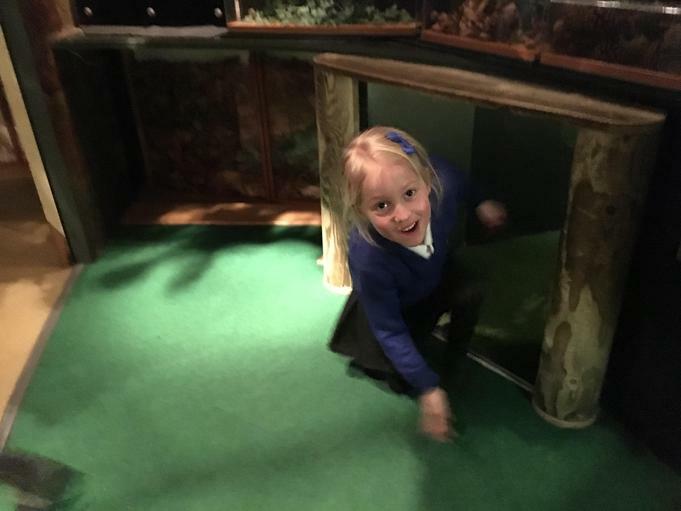 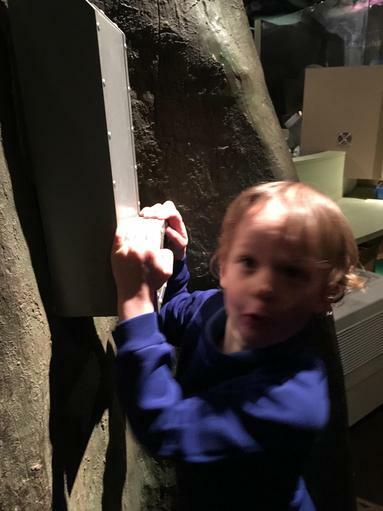 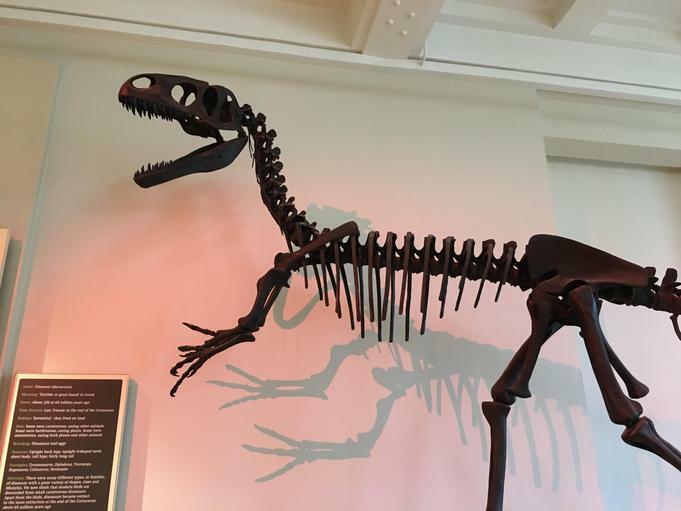 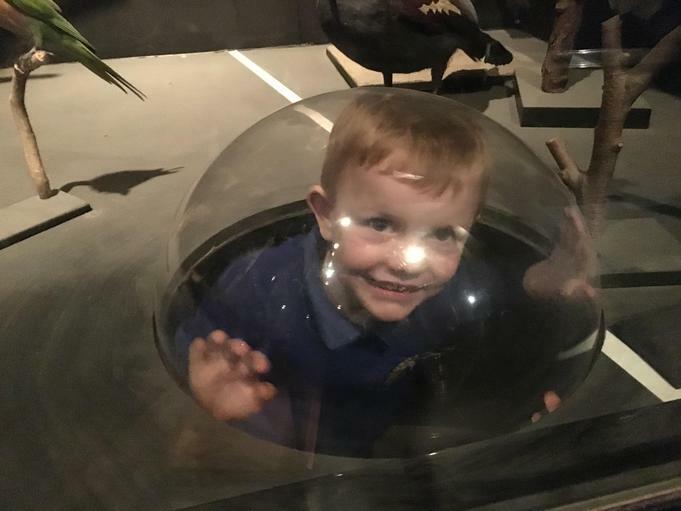 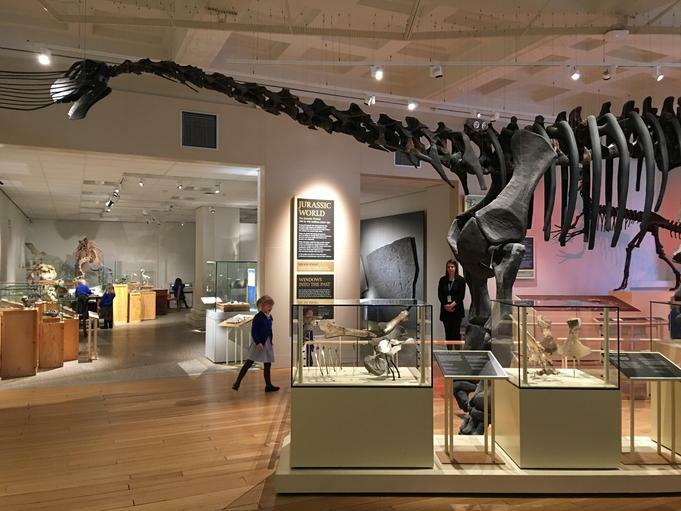 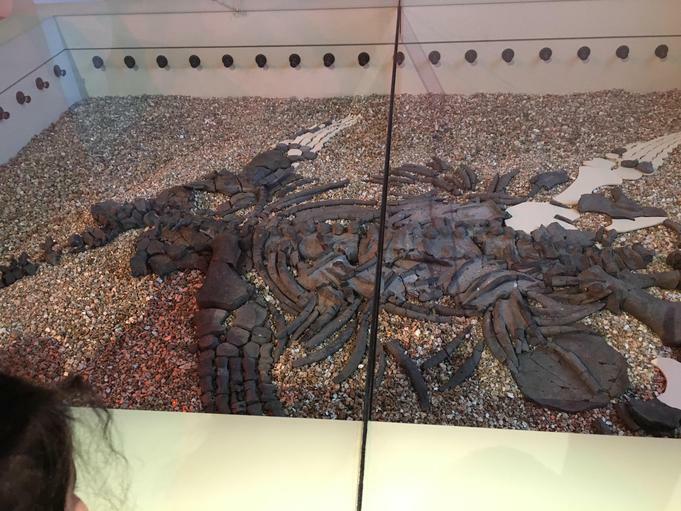 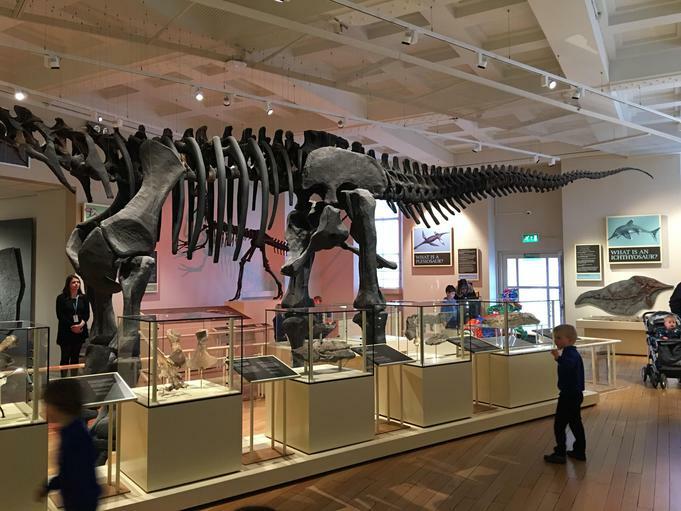 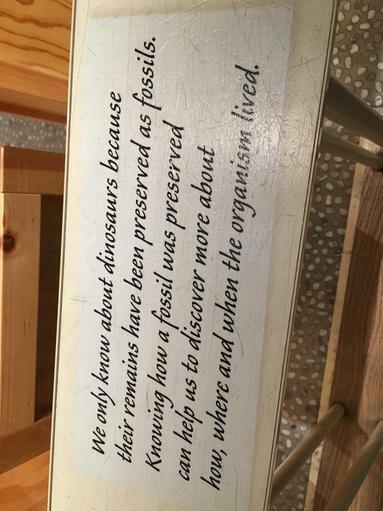 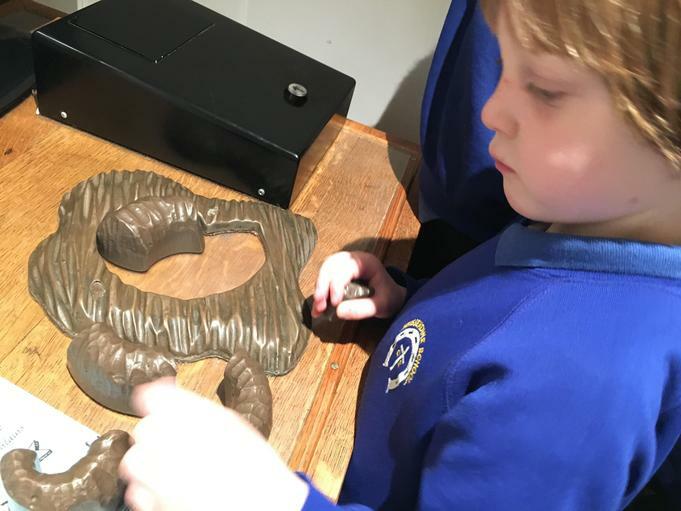 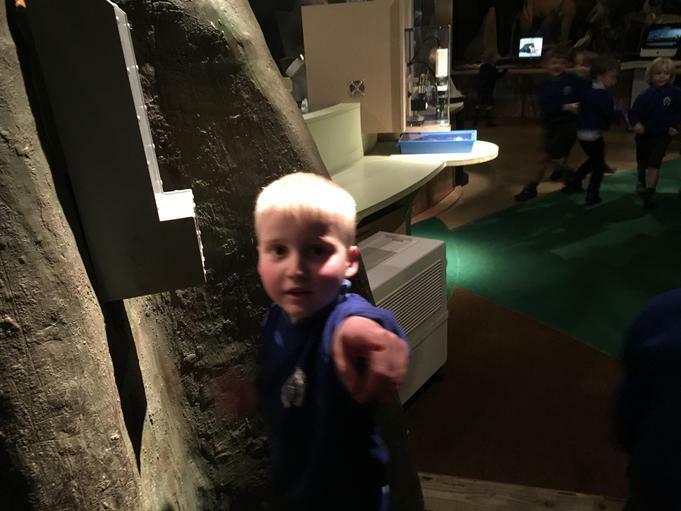 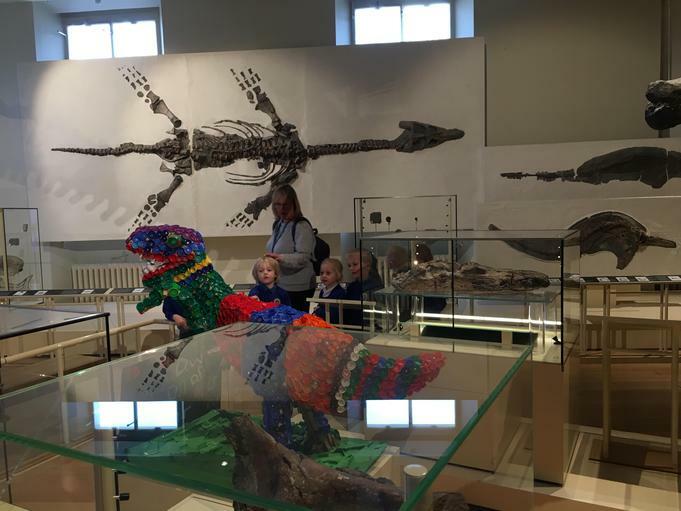 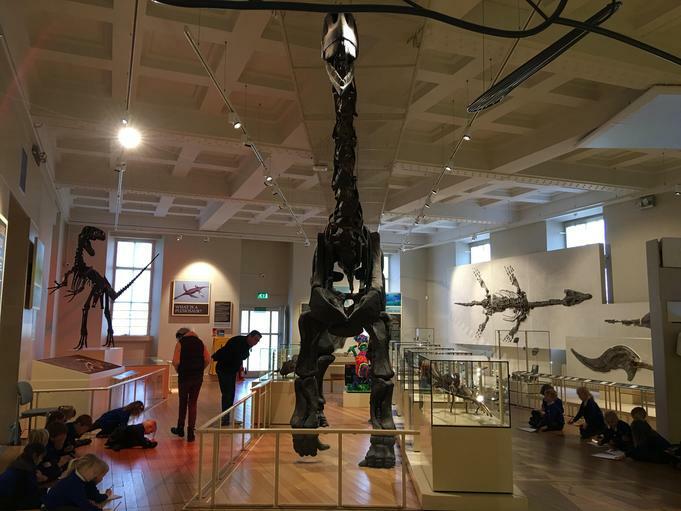 When we arrived we spent time in the Dinosaur Gallery exploring all the amazing exhibits. 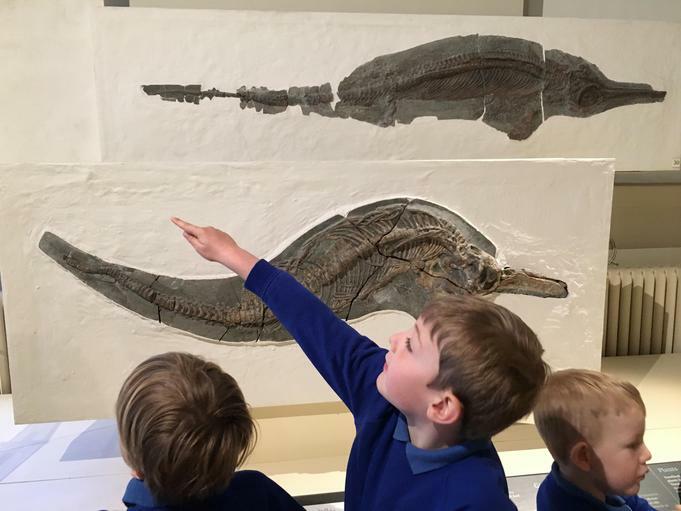 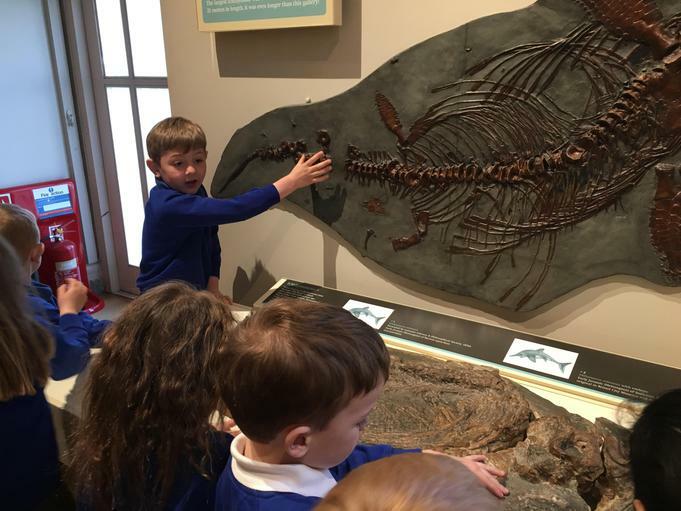 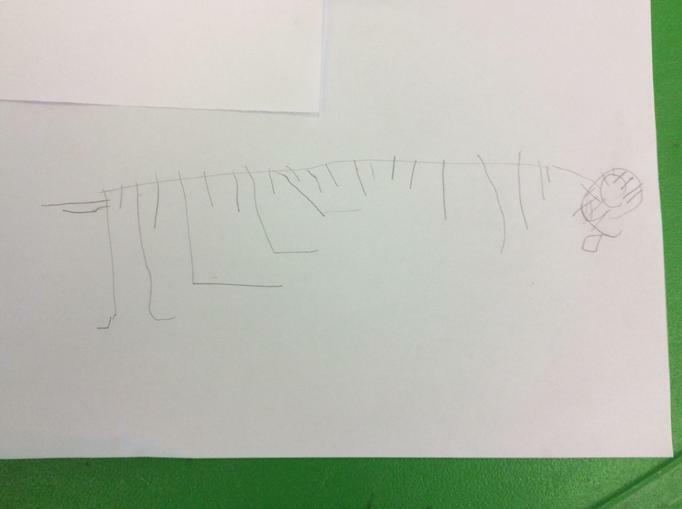 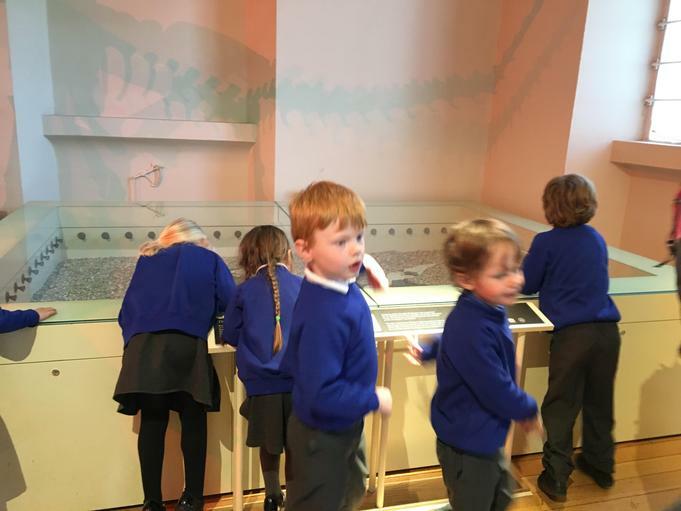 We saw the Rutland Dinosaur the Cetiosaurus (which means whale lizard). 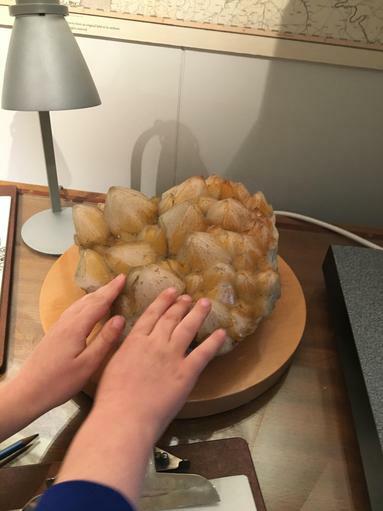 It was ENORMOUS! 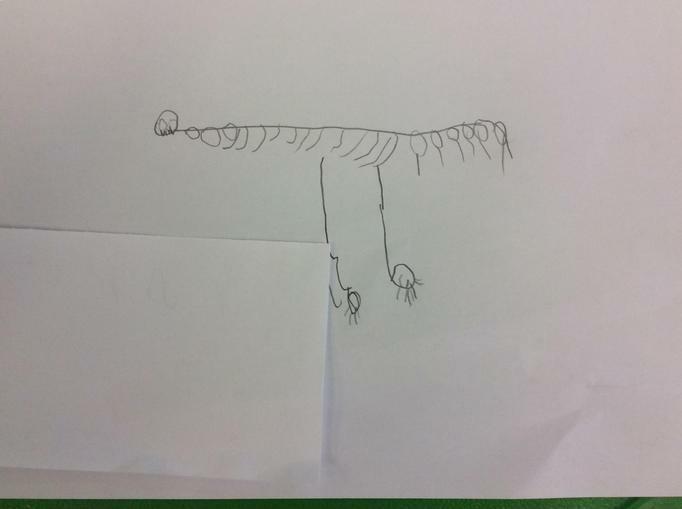 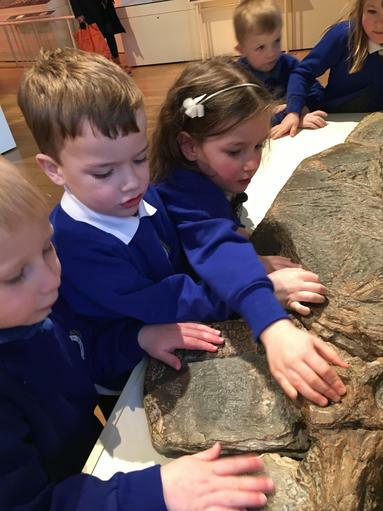 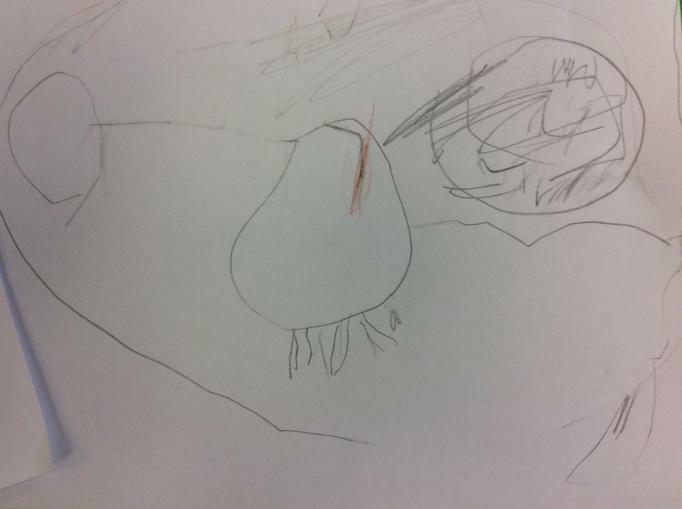 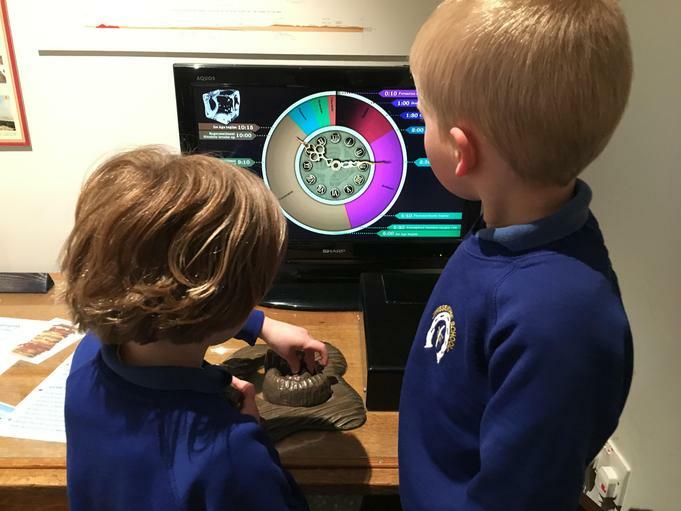 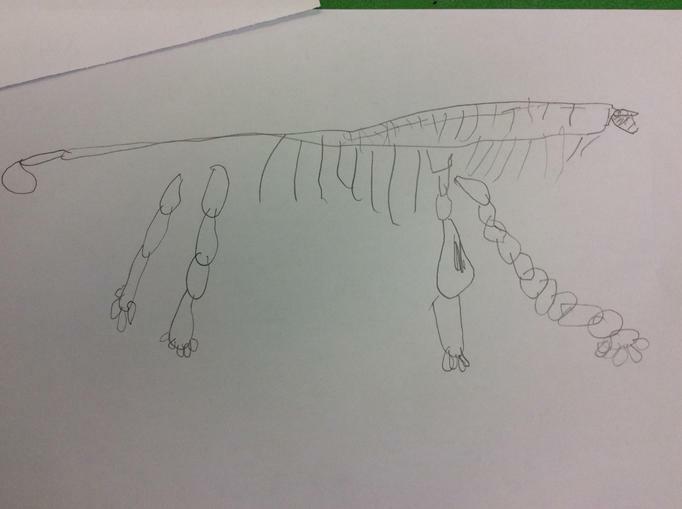 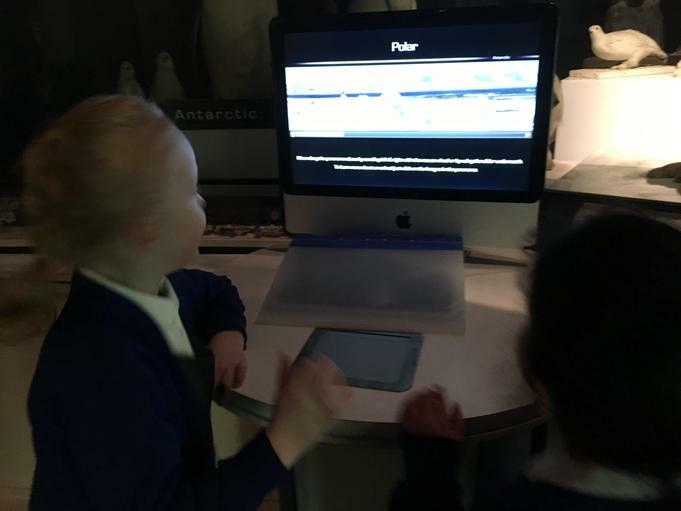 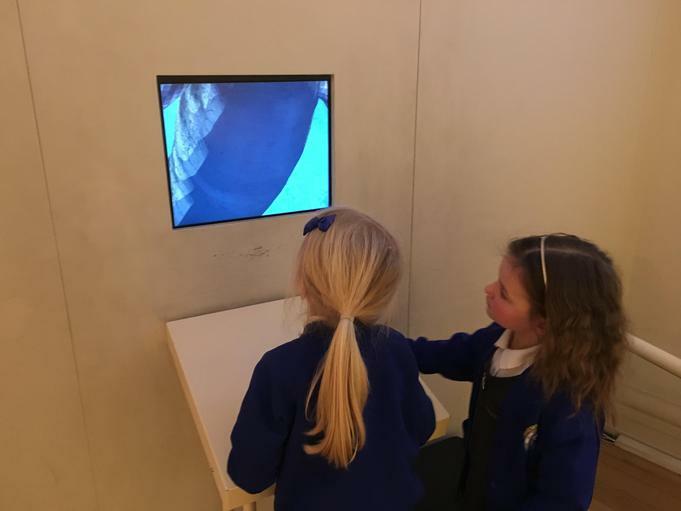 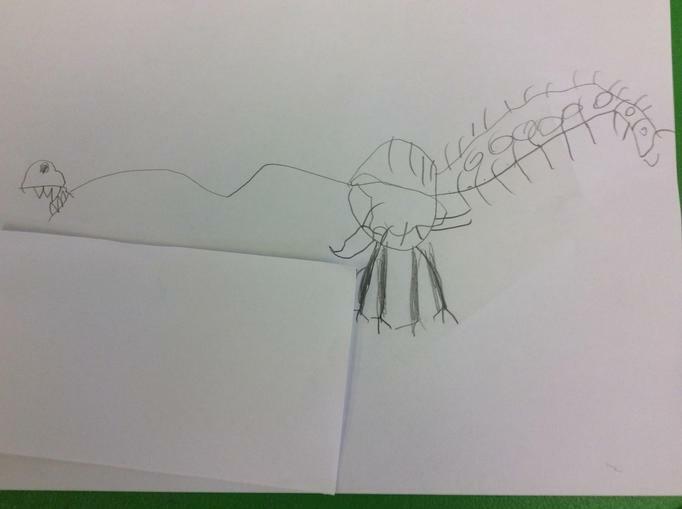 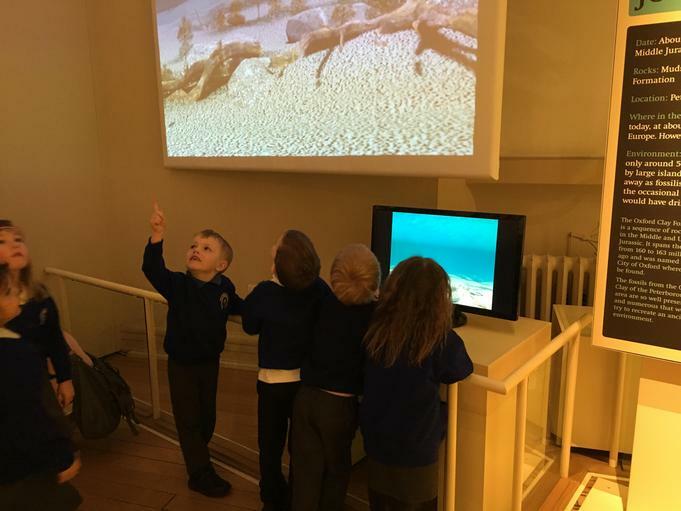 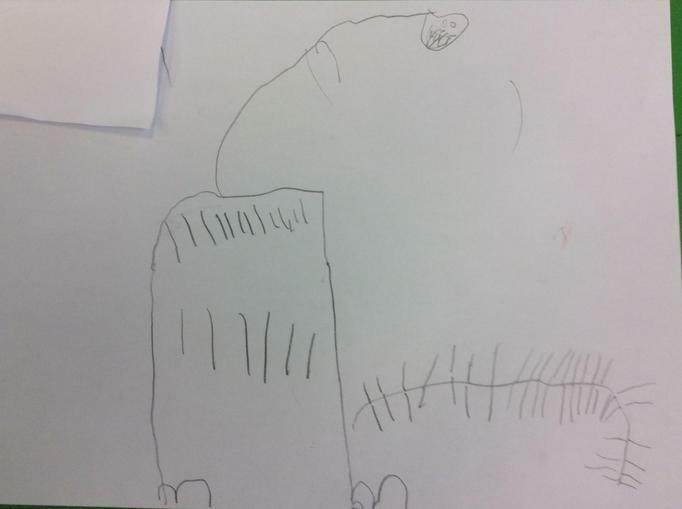 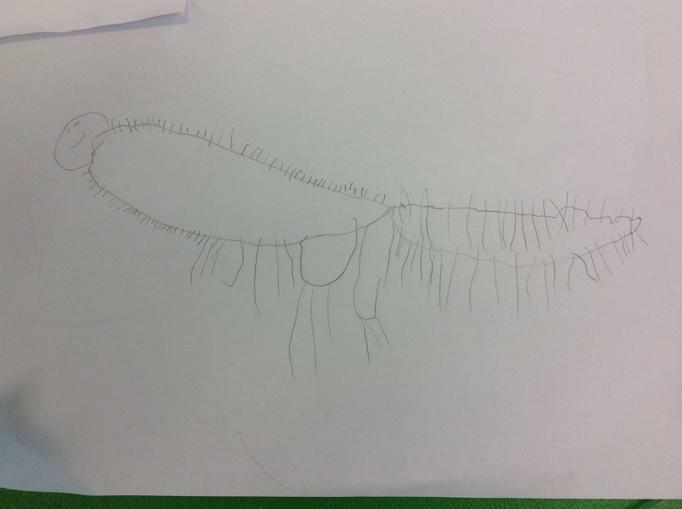 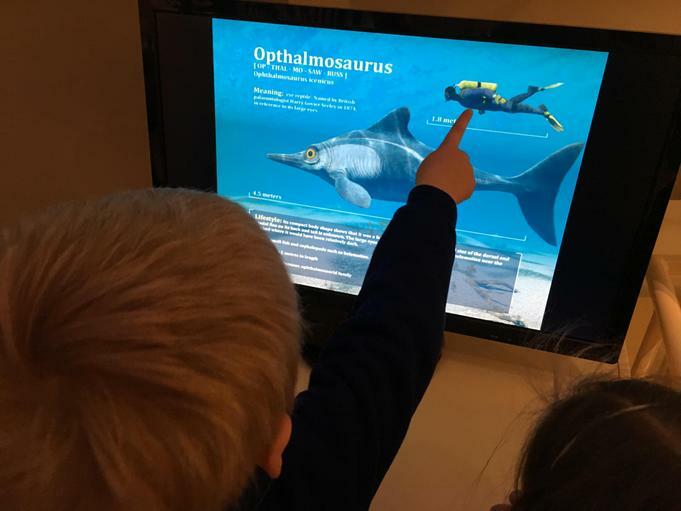 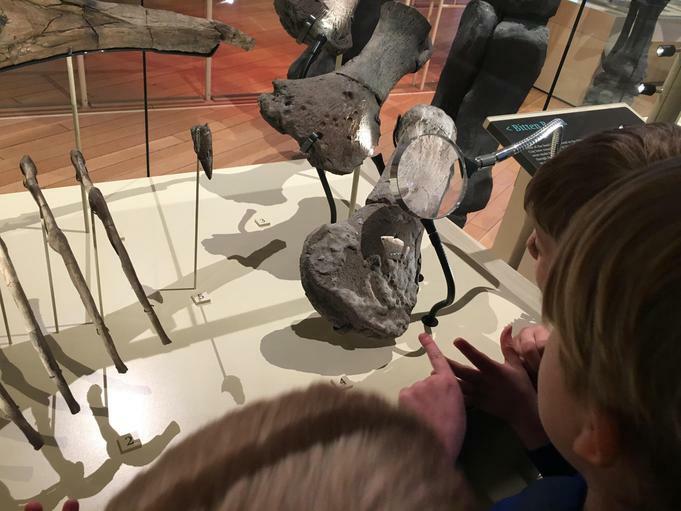 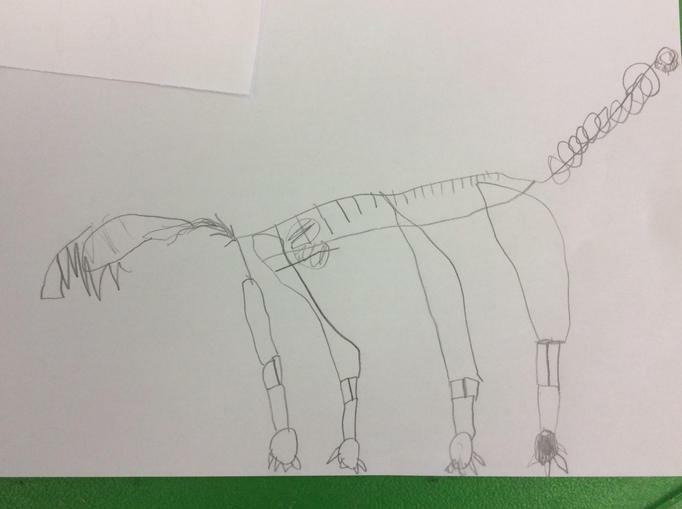 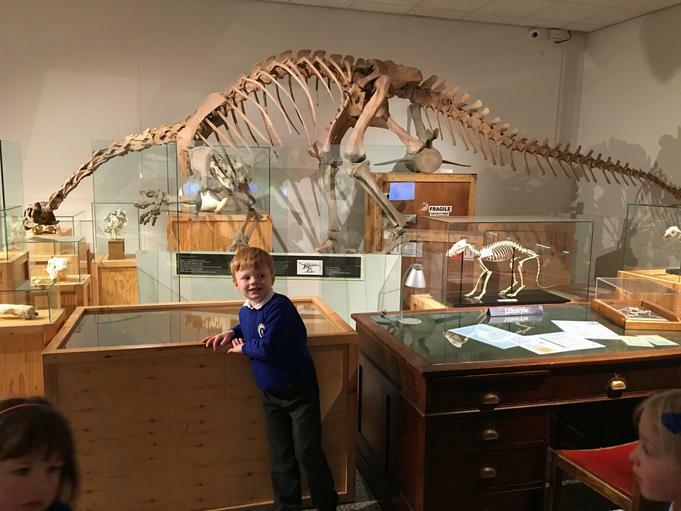 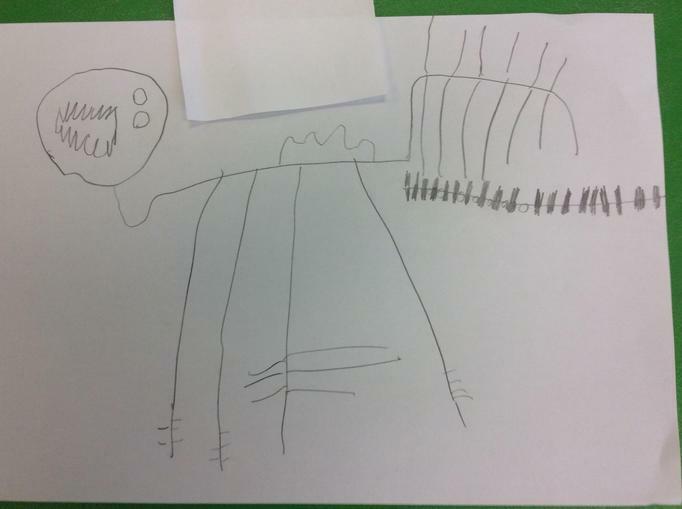 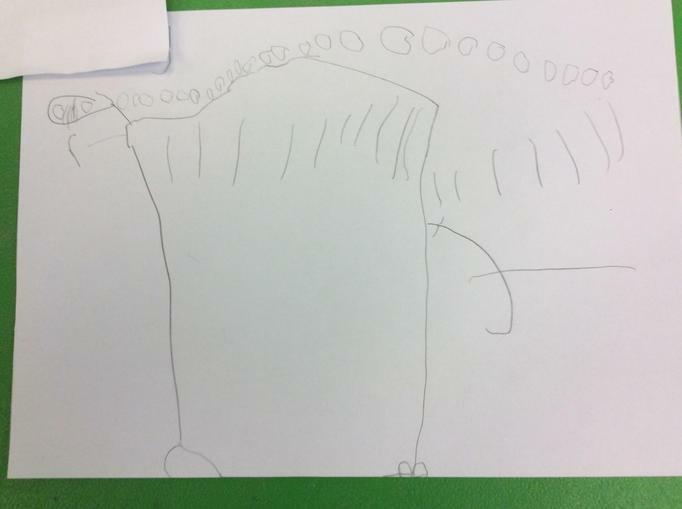 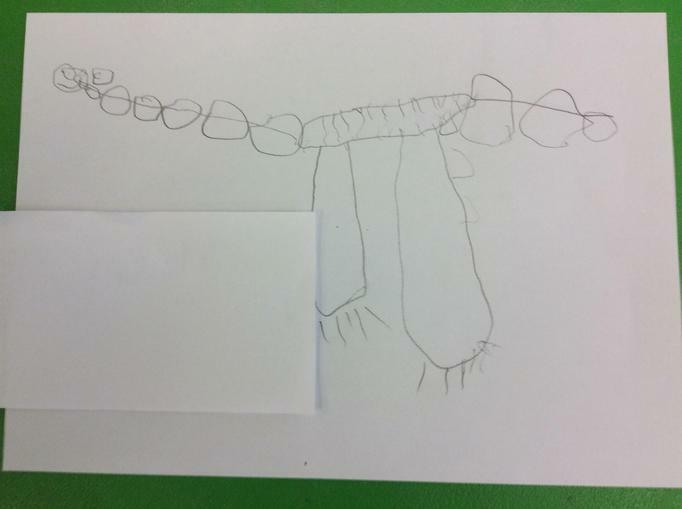 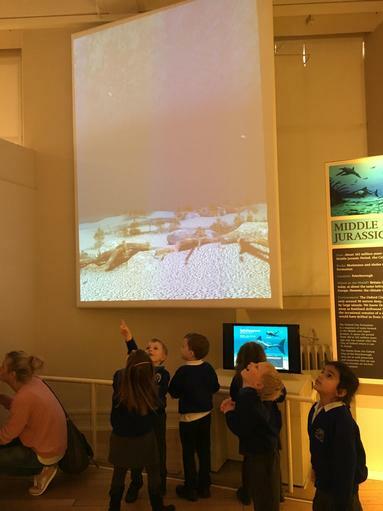 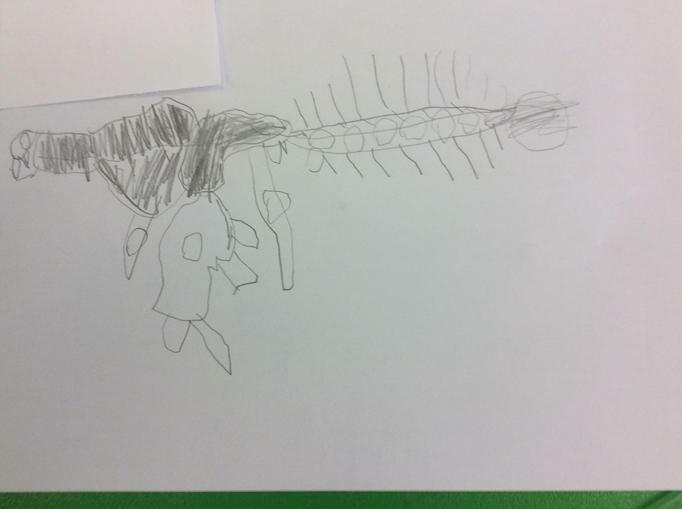 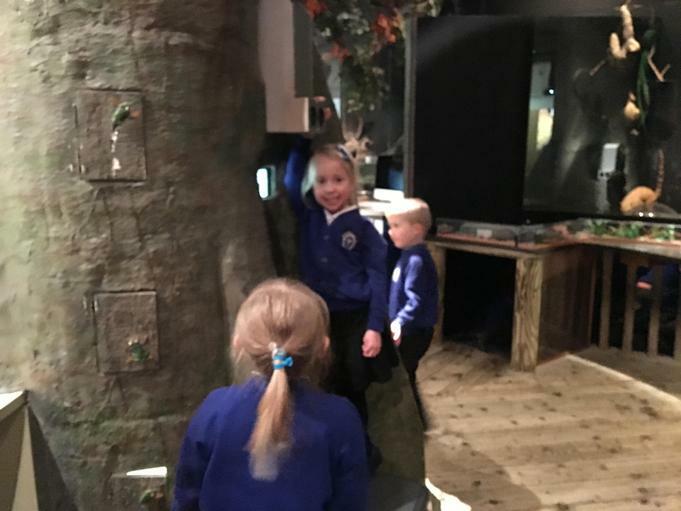 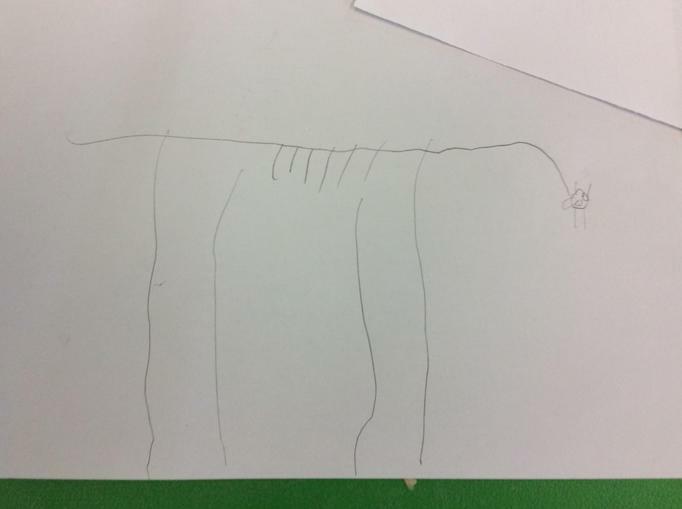 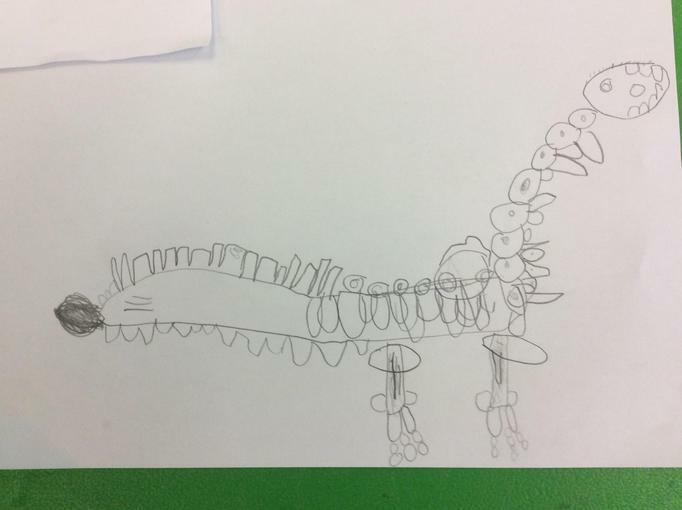 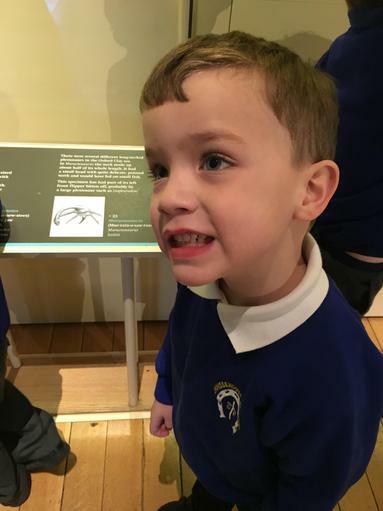 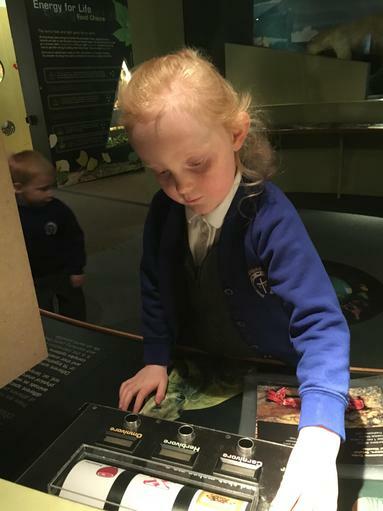 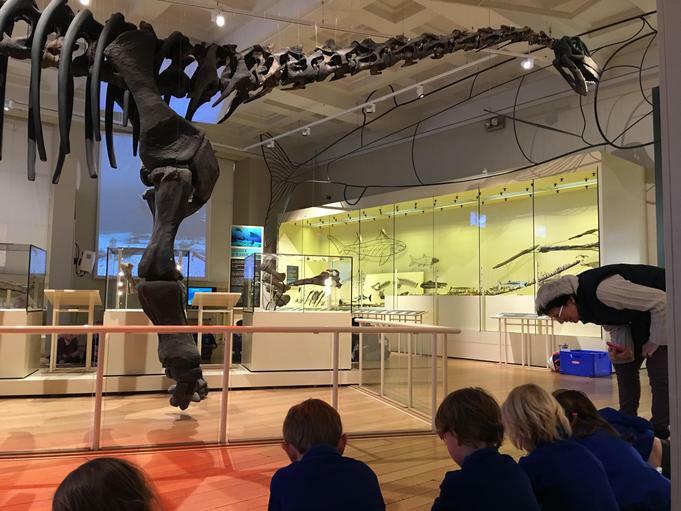 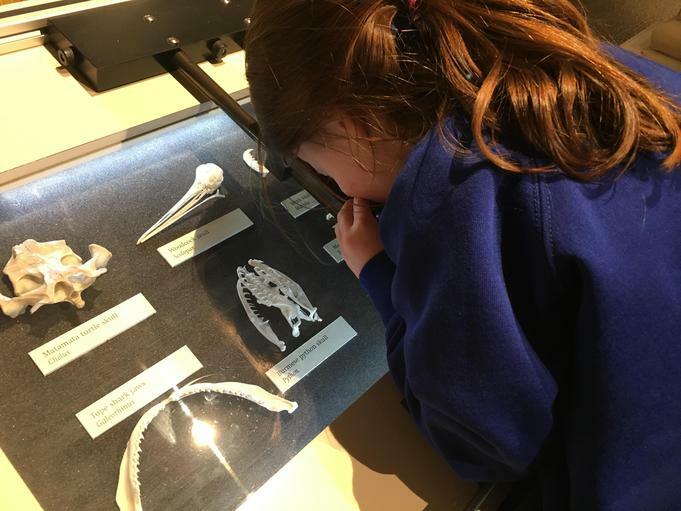 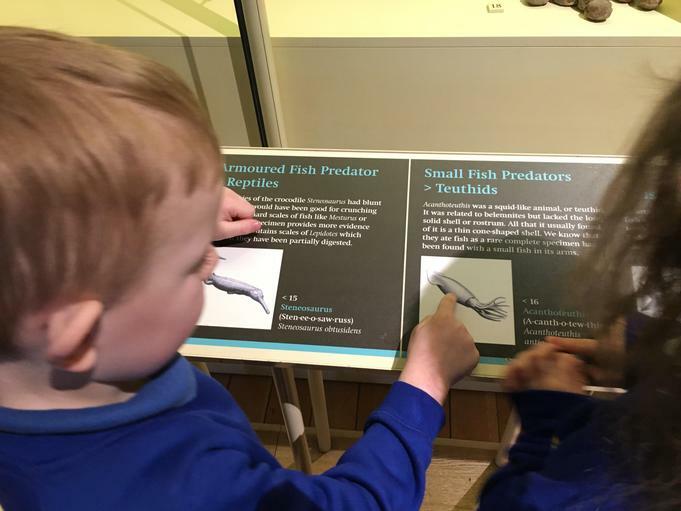 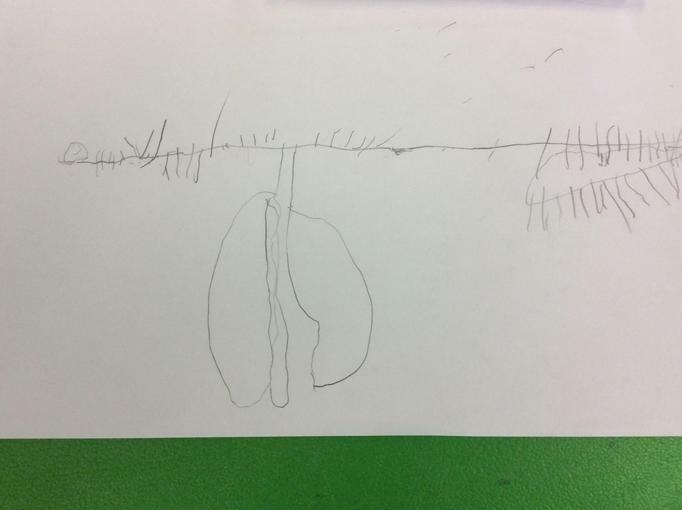 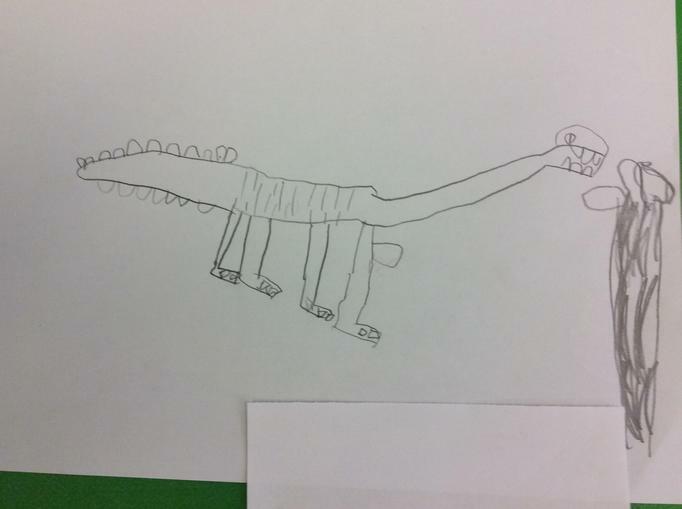 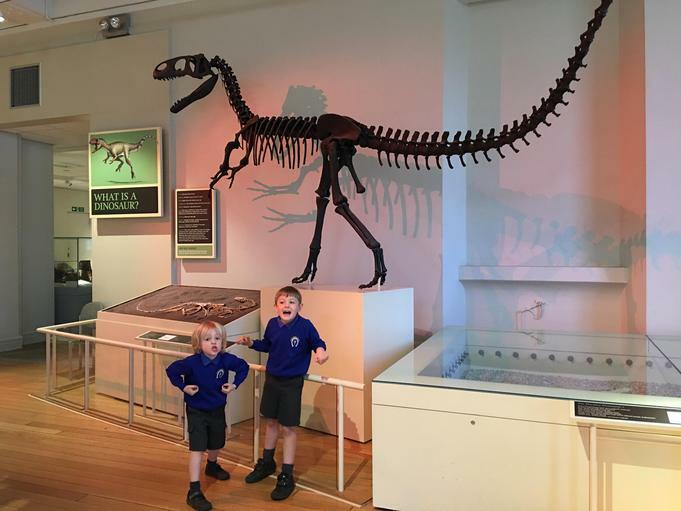 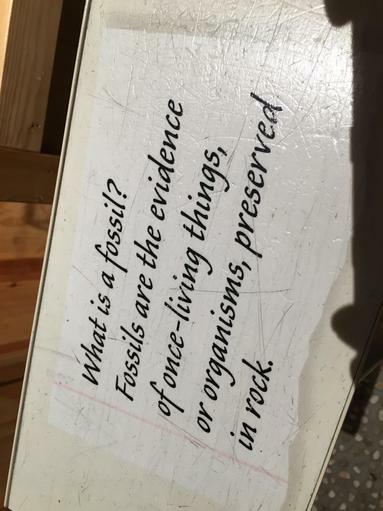 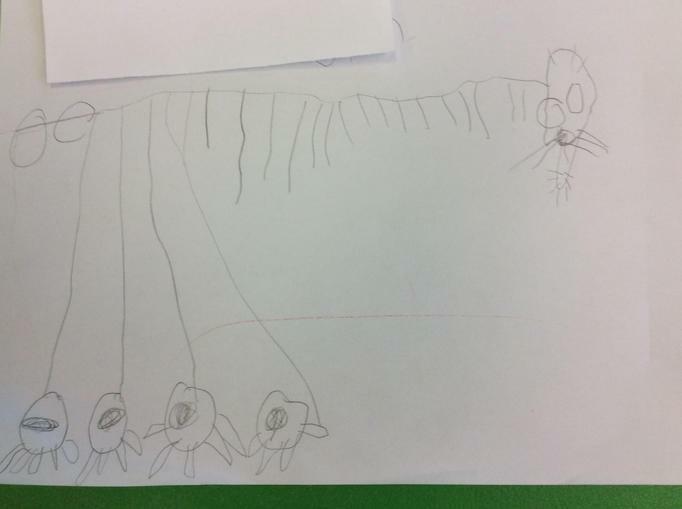 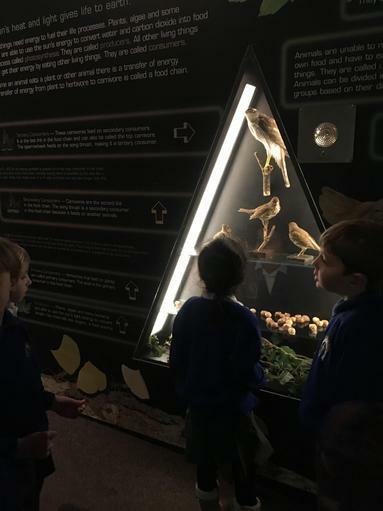 We found out lots of interesting facts such as it was alive 165 million years ago (very hard to imagine), it was a herbivore, bigger than a giraffe (we could see that) and lived on land. 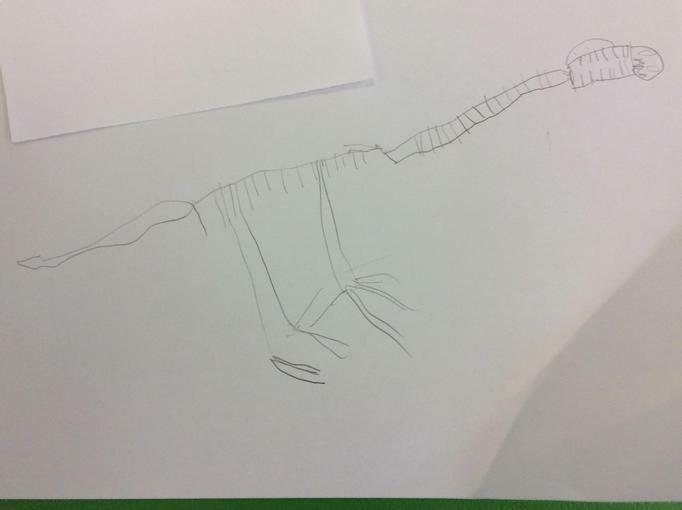 We also saw a Neovenator - which looked pretty mean and lived 125 million years ago. 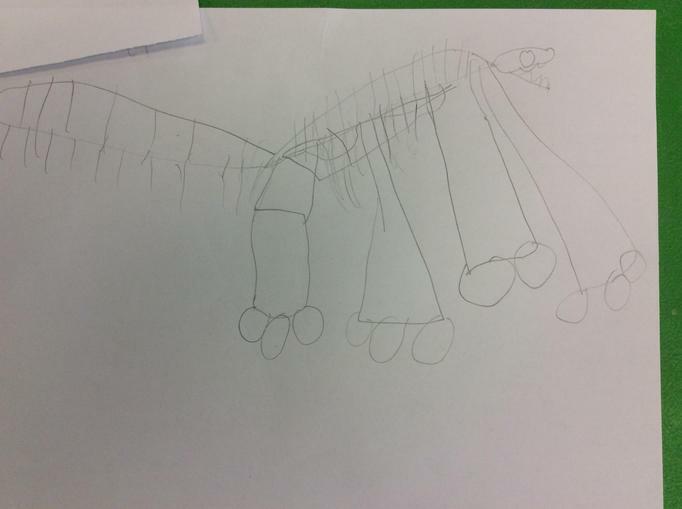 It was a carnivore and bigger than a rhinoceros! 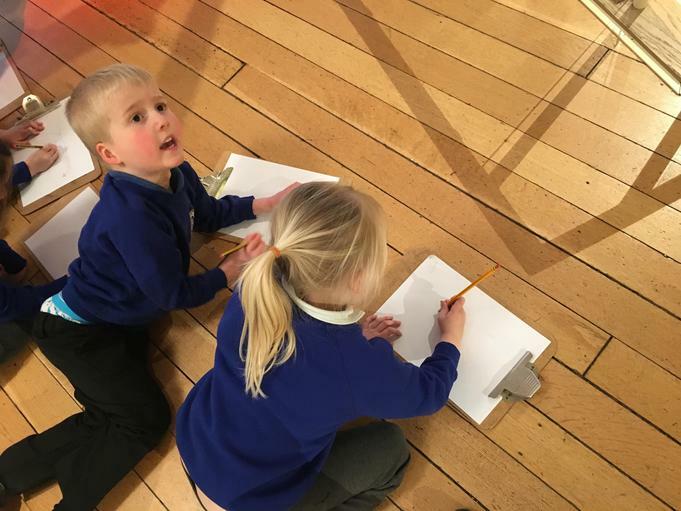 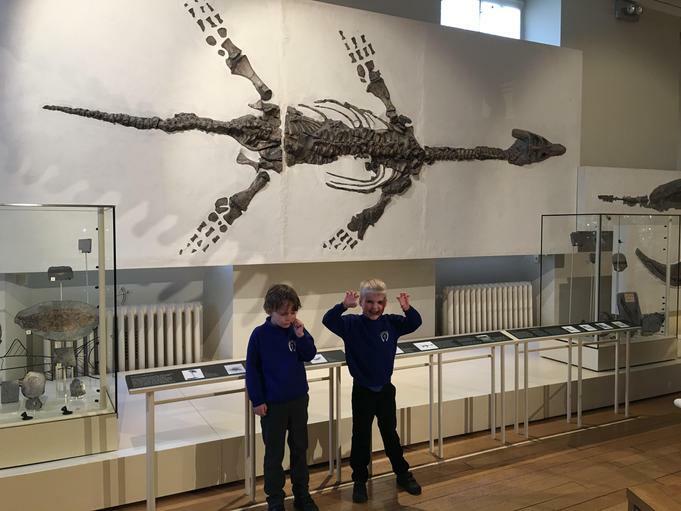 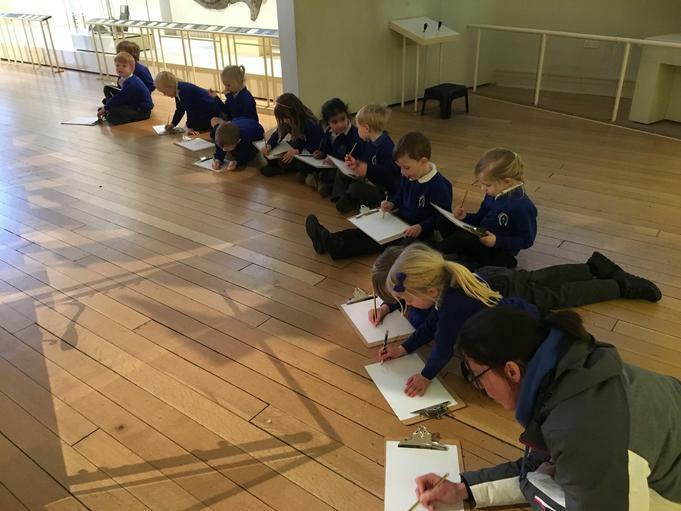 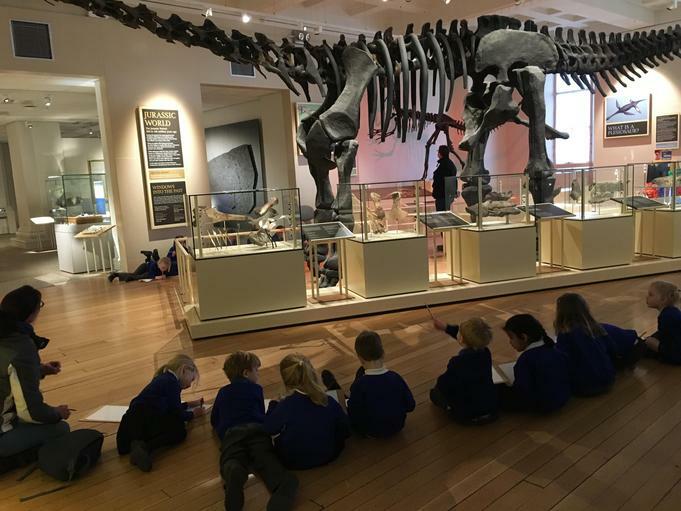 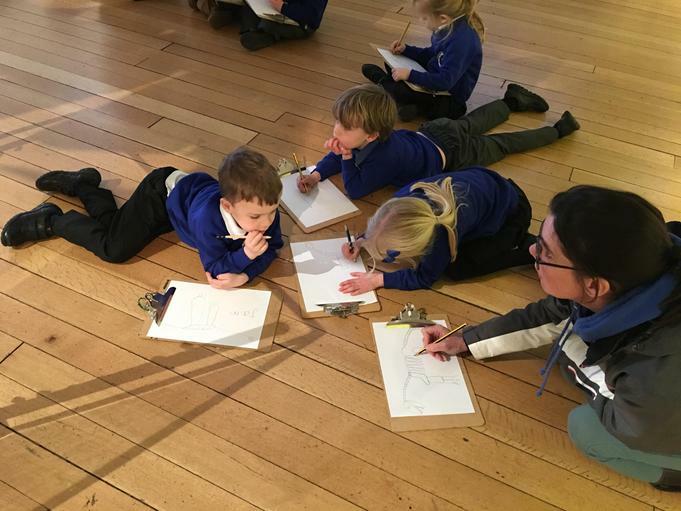 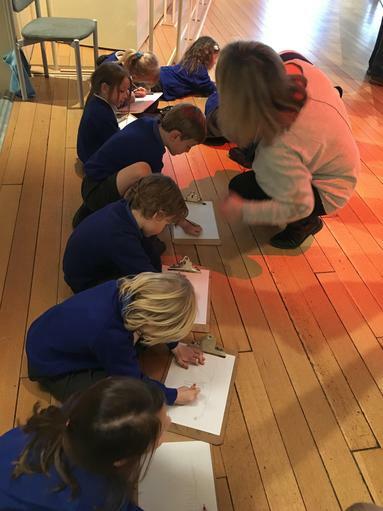 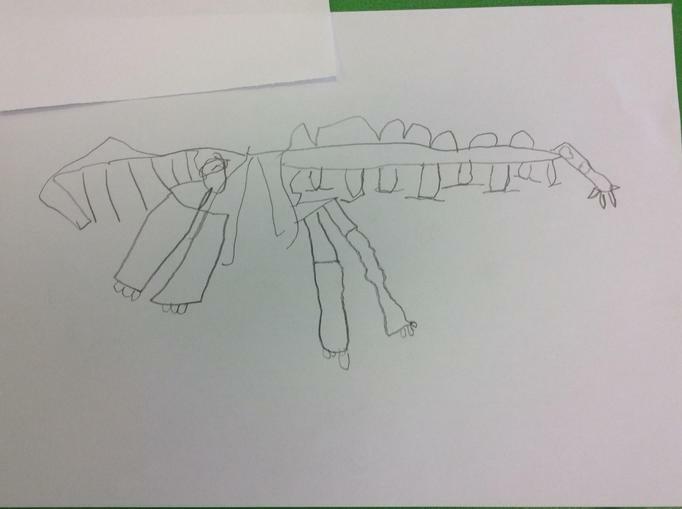 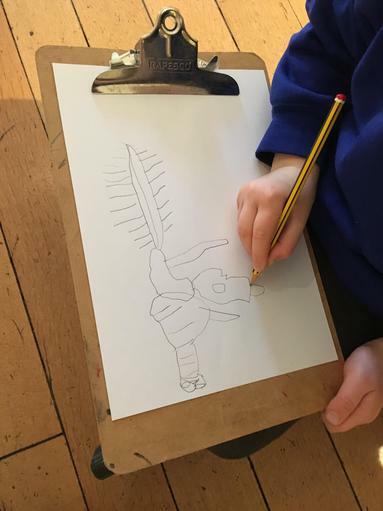 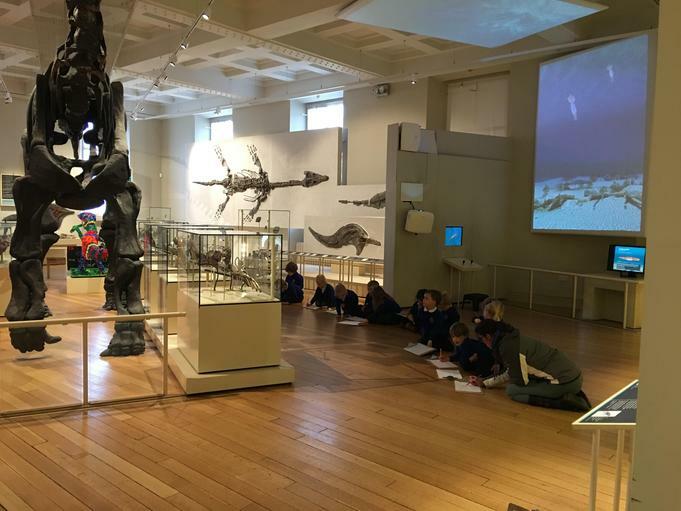 Once we had explored the gallery we took clip boards and sketched the Cetiosaurus (our sketches are below - they are very good). 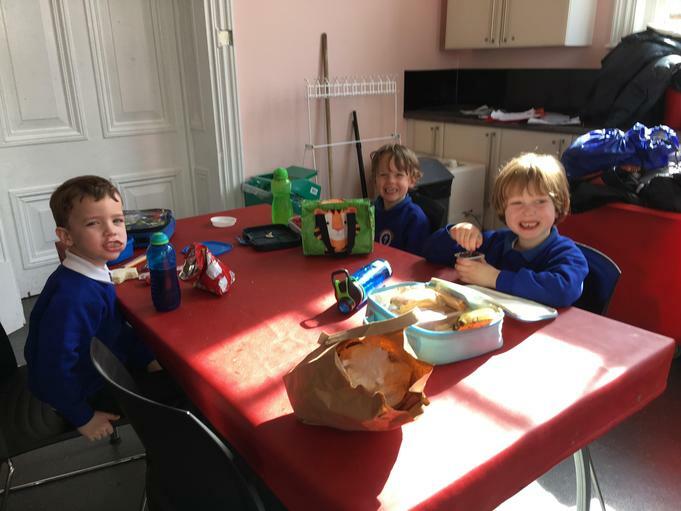 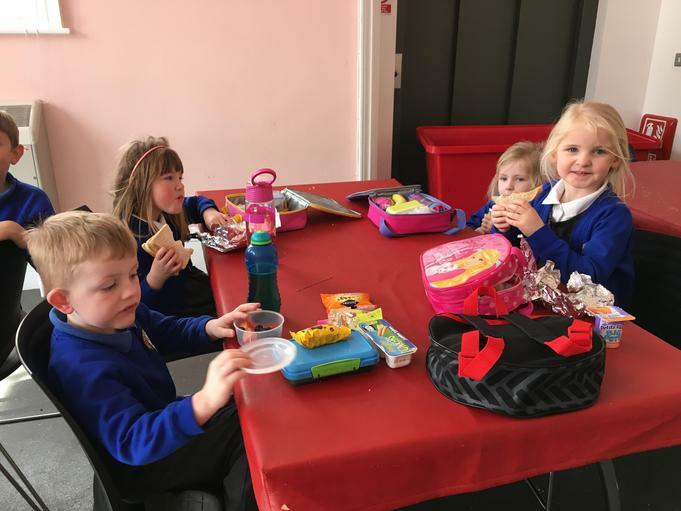 Following a quick break for a delicious biscuit and slices of carrot and cucumber we then went on to explore the Wild Space! 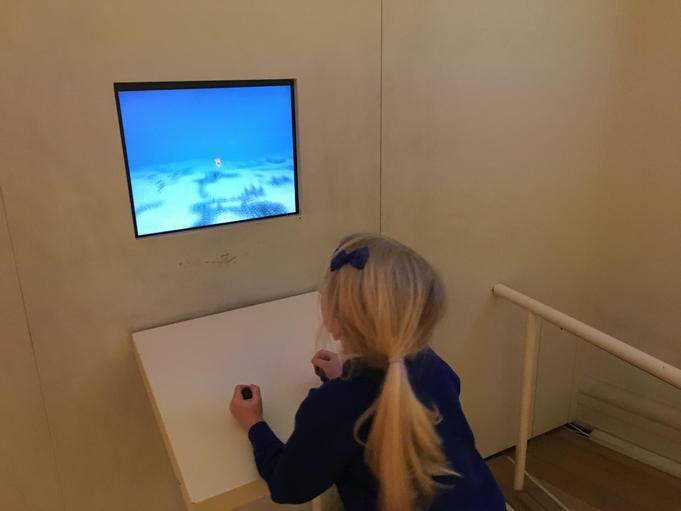 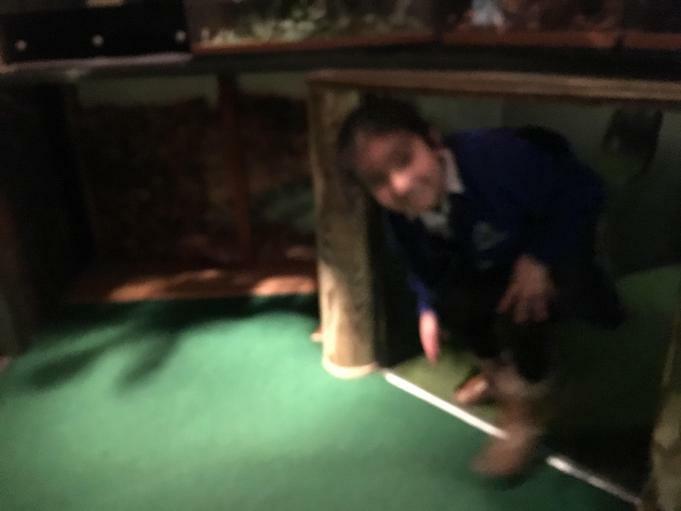 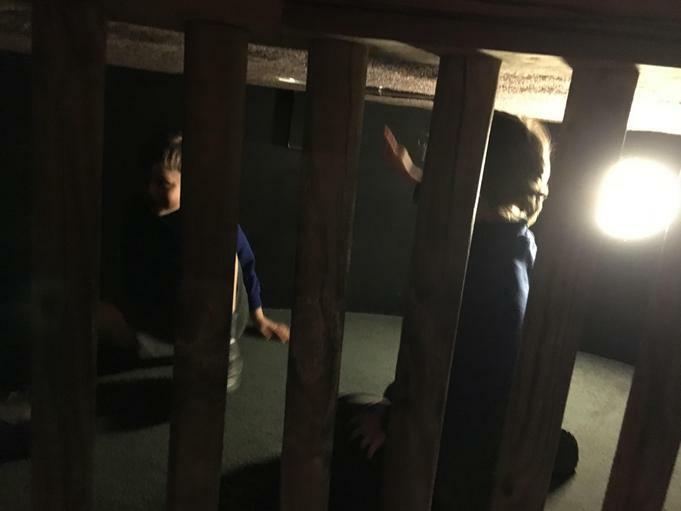 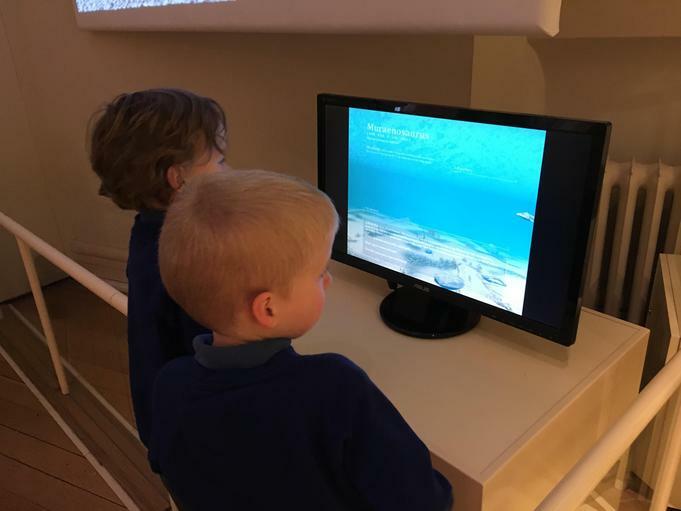 The pictures showing you this part are a bit blurry because the children just could stay still! 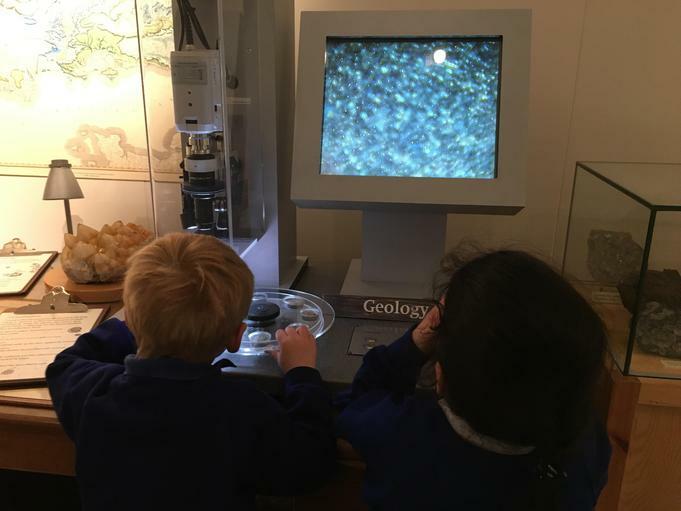 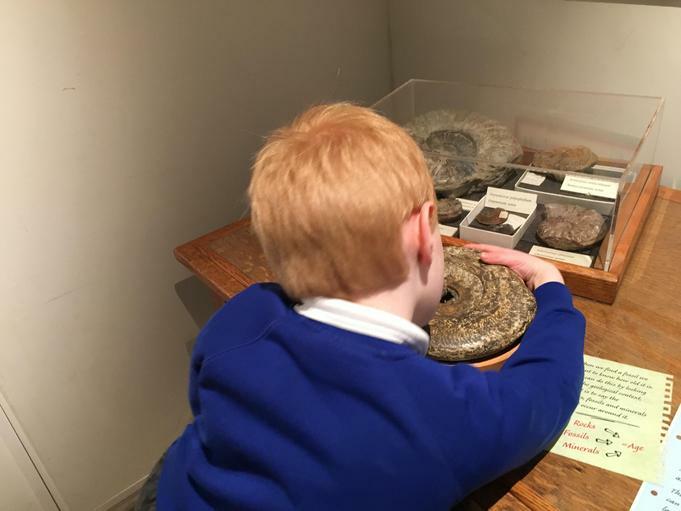 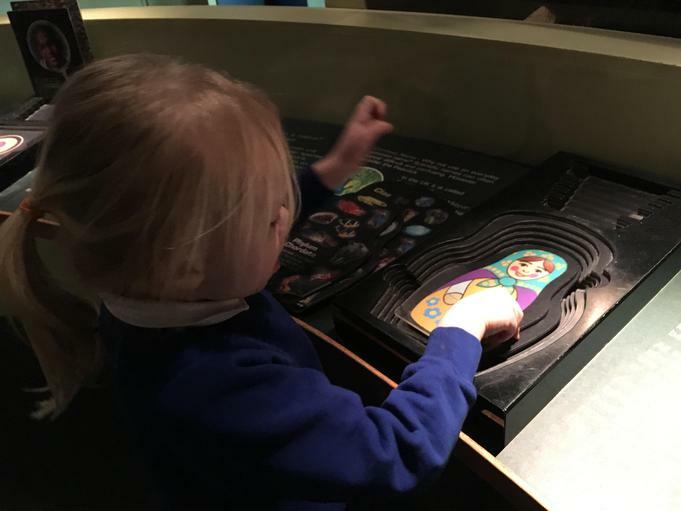 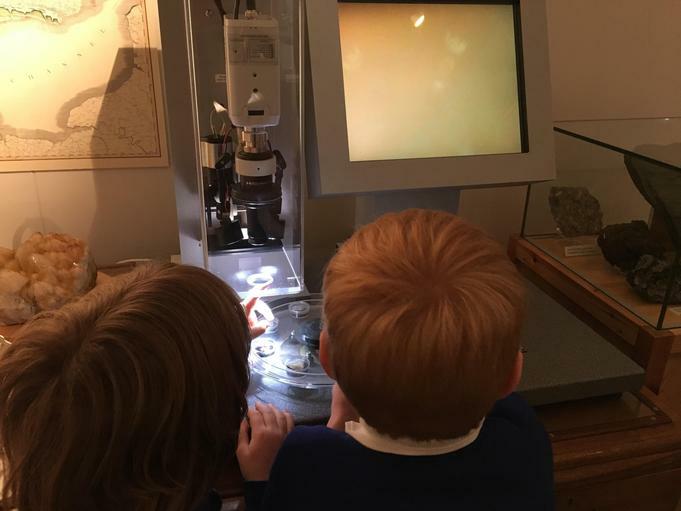 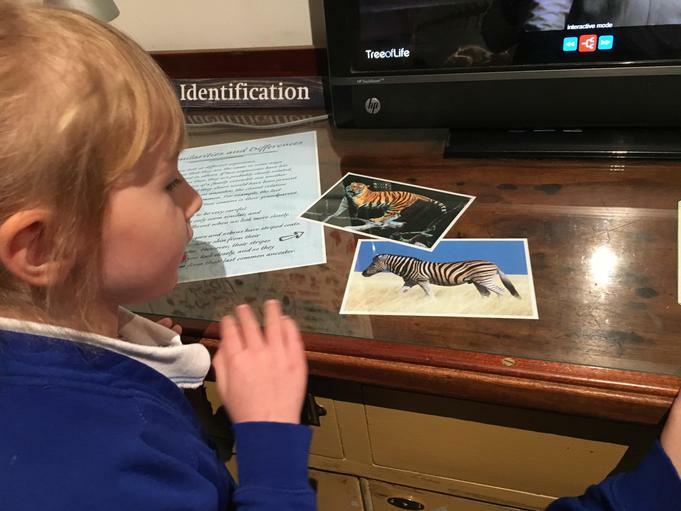 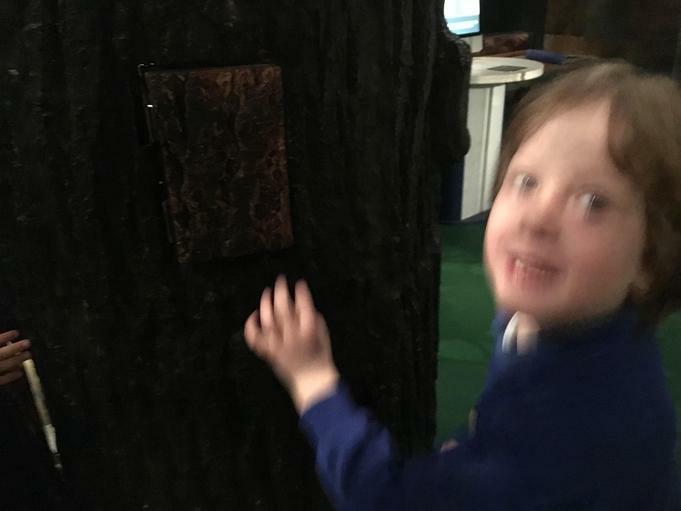 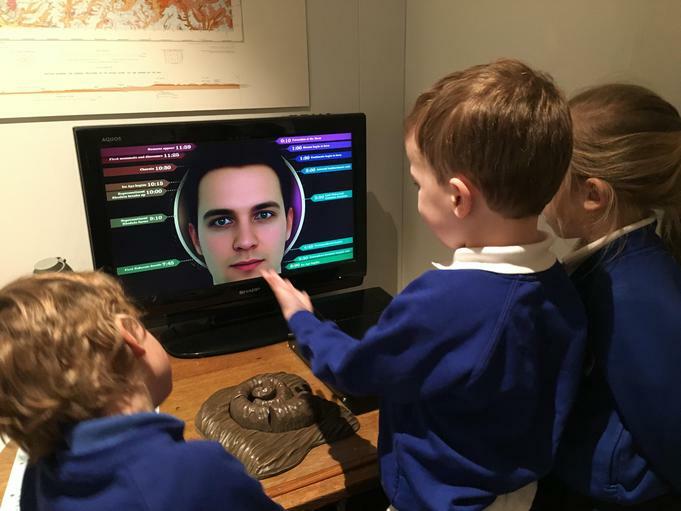 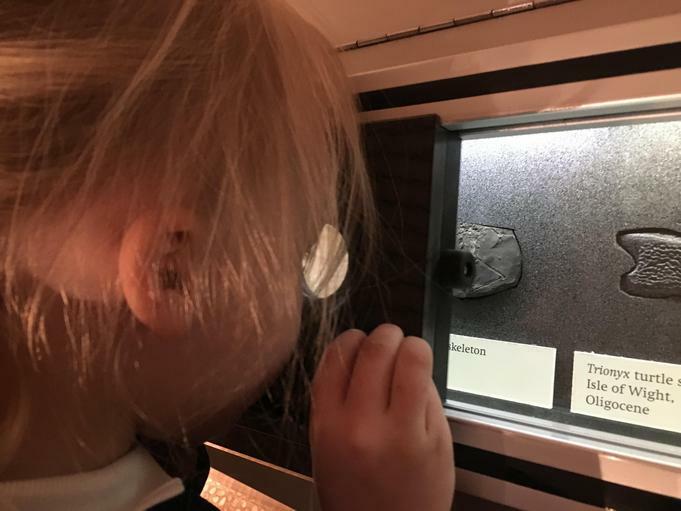 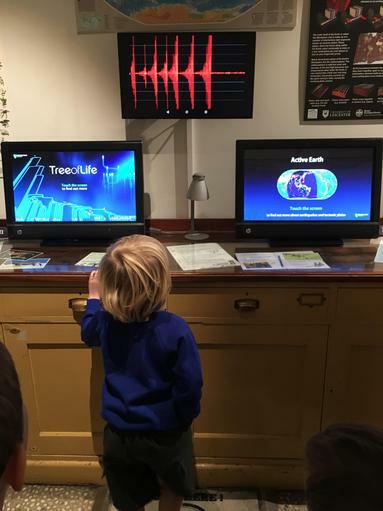 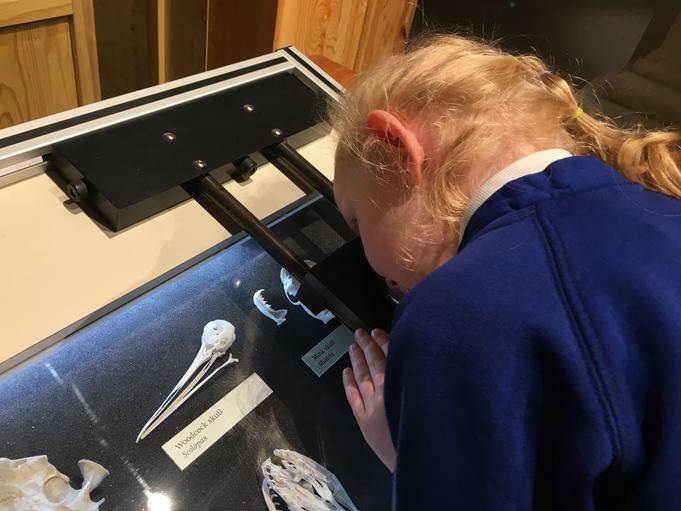 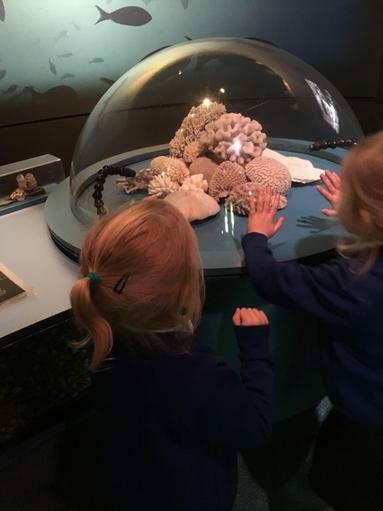 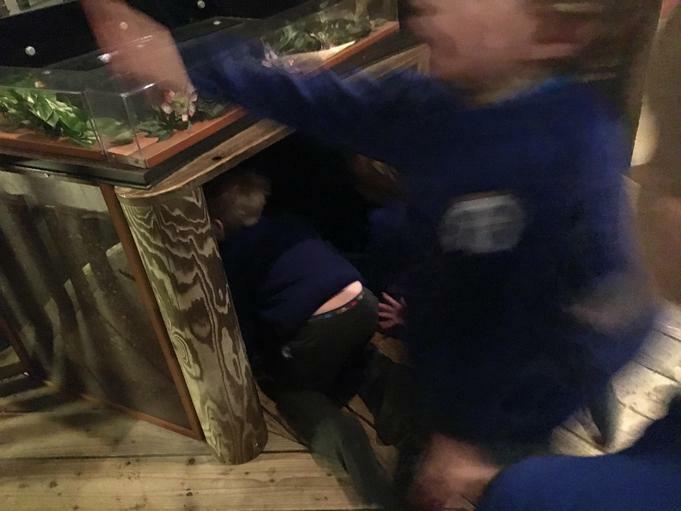 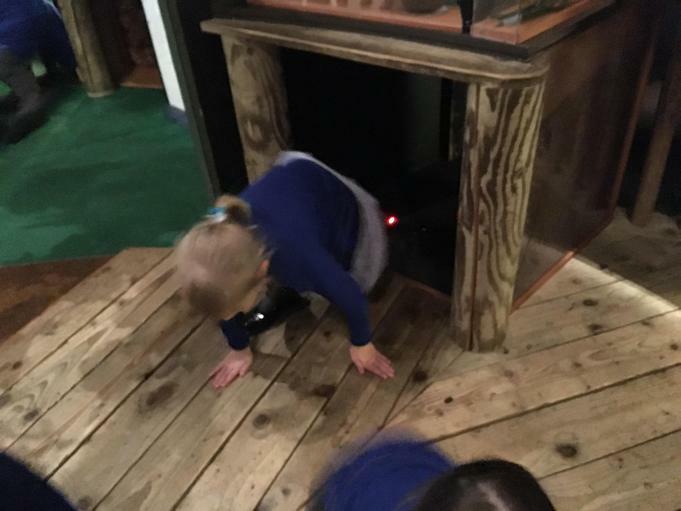 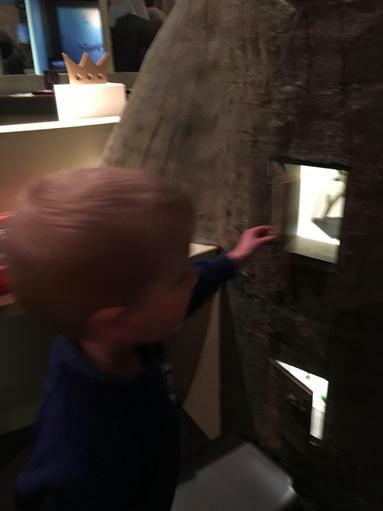 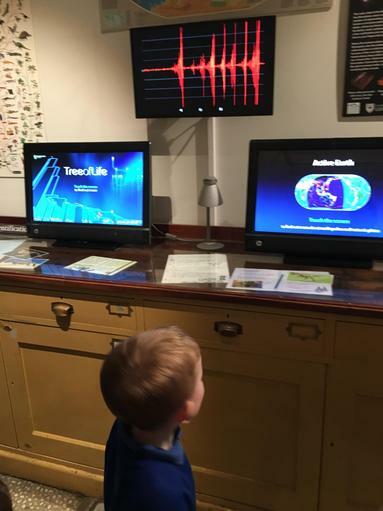 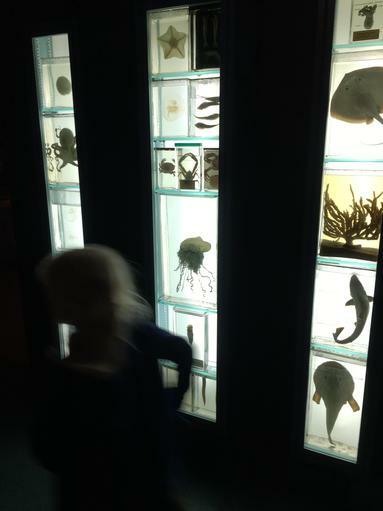 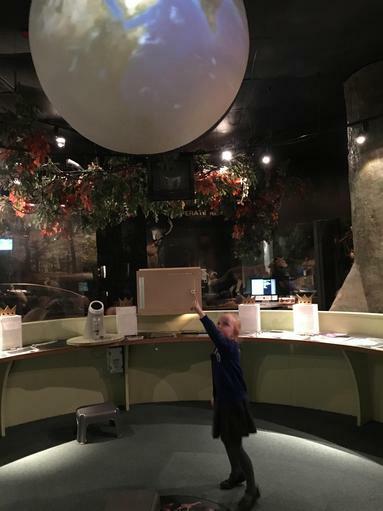 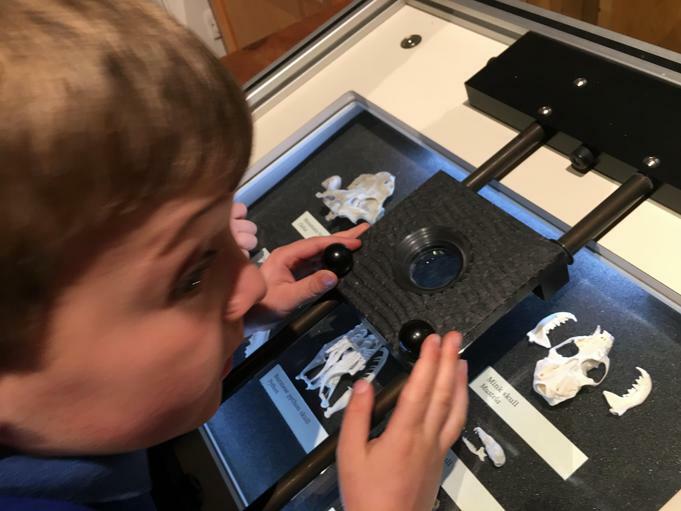 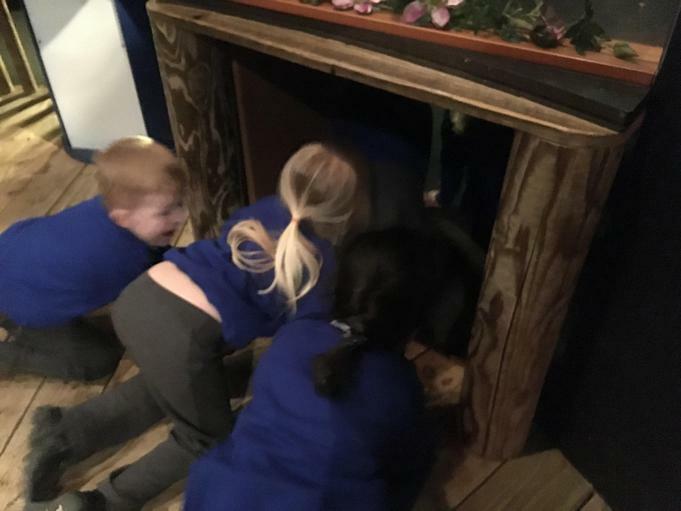 There were so many very exciting things to see and touch! 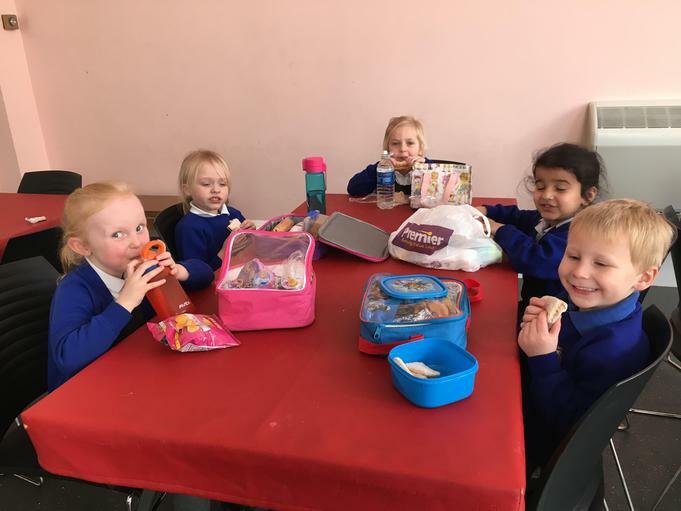 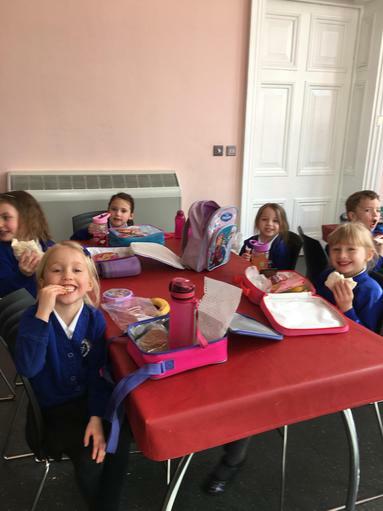 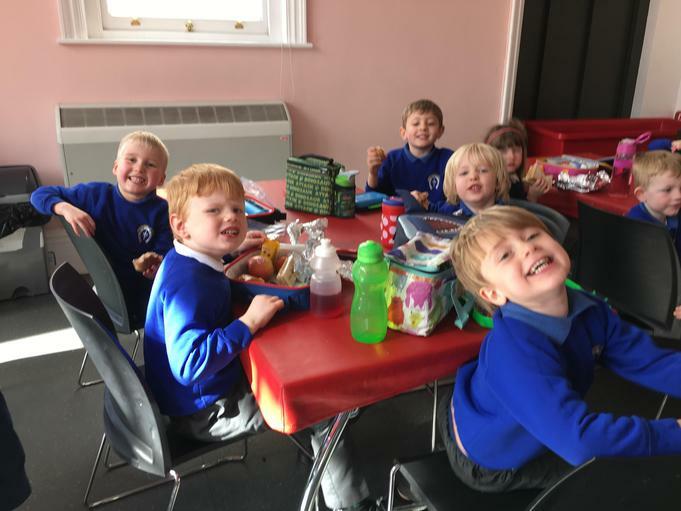 The children displayed many of the learning behaviours we value and celebrate in school and we are very proud of the way they conducted themselves today - in fact we received many positive comments !